Well my friends Opening Day is upon us after a long and at times brutal winter, and for that I am glad. So tonight after a very long day moving furniture and books getting ready for the contractors to come and install the tile on my living room floor I am basically doing a re-run but not calling it that. I was working on another article but it is too late and I am too tied to finish it, so I am reprising this article from 2011. Have a great night and catch you tomorrow. Bill “Spaceman” Lee is a funny guy. A Major League pitcher who has long since retired Lee somehow in an often convoluted way was able to keep things in perspective. I love this quote because it is a reminder that a lot of the stuff that we take very seriously in the long run isn’t that important. In fact it reminds of just how little control we have and why it is such an exercise in futility to be anxious and worry about things that we cannot control. I’m pretty sure that Jesus had a word or two about this as well which his disciples thought was important enough to put in the Gospels. Anyway, last night was another night where for the most part I took the night off from looking at the news about Japan and Libya. I watched for a while as I ate dinner and did laundry but when I began to put my platform bed together I decided I didn’t need to keep listening to newscasters, commentators, talking heads, politicians and pundits as they pondered, puzzled and piddled about the problems of the day. Let’s face it unless big news breaks in the middle of any news channels’ programming it is all the same information being repeated repeatedly by people who many times are paid huge amounts of money to sound ignorant. I guess that it beats real work. Oh well I have continued to take a mental break from this things because they will be there in the morning and will probably be worse than they are now. But to paraphrase what I said last night what is going on now needs to be kept in perspective because this nation and the world have been throw worse during the 20th Century then we are going through now. Since I wrote about some of those things in my last essay night I won’t re-hash them. But I will say that our media machine both the old established media and the new media are the greatest producers of anxiety that the world has ever seen. These people have created an industry where news is packaged to create anxiety and keep views hooked wondering what terrible calamity will befall them, because if it happened somewhere else it will probably happen here too even if all the facts on the ground are different. David Brinkley said it well when talking about television news: “The one function that TV news performs very well is that when there is no news we give it to you with the same emphasis as if it were.” Thus even hypothetical issues become objects which are used to drive up anxiety, anger and fear and I think that pundits of all types and stripes are the worst offenders in this. It is simply shameful but I digress. In such a tumultuous environment it is hard to keep to keep events in perspective. As I said in my previous article I was tired from hearing the constant barrage of bad news. Now I am pretty good about keeping perspective but even if I can cognitively deal with the news it can be hard to maintain a non-anxious presence if I am being constantly bombarded with disasters and tragedies of the magnitude that we have witnessed the past several weeks. Thus I turned off the news and put on baseball movies and decided to do the same last night. Since I am tying baseball into the whole issue of keeping one’s perspective I want to mention the great baseball comedies Major League and Bull Durham. While they are comedies told through the lens of baseball they are great movies about life and keeping one’s perspective. I love both of these movies, they are not the emotional and spiritual tales like Field of Dreams and For the Love of the Game they are great in using the medium of a baseball comedy to give life lessons. Major League deals with a Cleveland Indians team that has not won a world series in over 40 years and whose owner is trying to lose so many games that she can move the team to Miami. The team is made up of has been players, cast offs and rookies of uncertain ability and maturity. In the movie which was set before the Indians renaissance of the 1990s dealt with a losing team that the owner purposely built to lose, but finds its pride to spite their nefarious owner and win the American League East. The character that I can relate to is the old catcher called up from the Mexican League, Jake Taylor played by Tom Berenger who is the field leader of the team helping the young players to mature while holding the Indians together as they go through difficult times and then go on to win the East against the Yankees and in the process rediscover a love that was lost due to his own mistakes. Bull Durham is another one of my favorites and once again my favorite character is the journeyman catcher, Crash Davis played by Kevin Costner who is sent back to “A” Ball to assist a young pitcher named Eby Calvin “Nuke” LaLoosh played by Tim Robbins. In the process Crash helps LaLoosh, assists his teammates as they go through hard times and discovers love even at the end of his playing career. What I like about these films is how they show how to keep perspective in life. In the movies both Jake Taylor and Crash Davis are guys on the down side of their careers. They play on losing teams which they help lead back into contention and help the young players mature into winners. They simply concentrate in the things that they can influence. 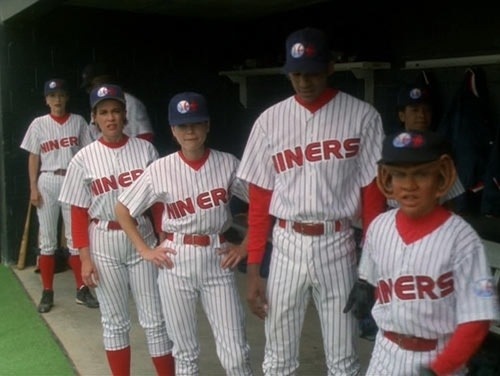 Of course baseball is taken deep into the future in Star Trek Deep Space Nine. 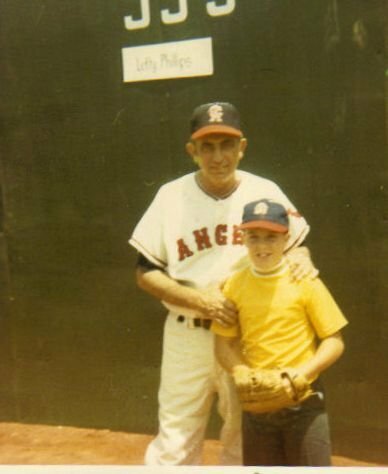 The way I figure is that in life we can worry about stuff that we can’t control and ignore the things and people around us that really matter that we can have some influence upon and that is not just a baseball thing. That is a life thing; it is a faith thing and a relational thing. Are these characters perfect examples? 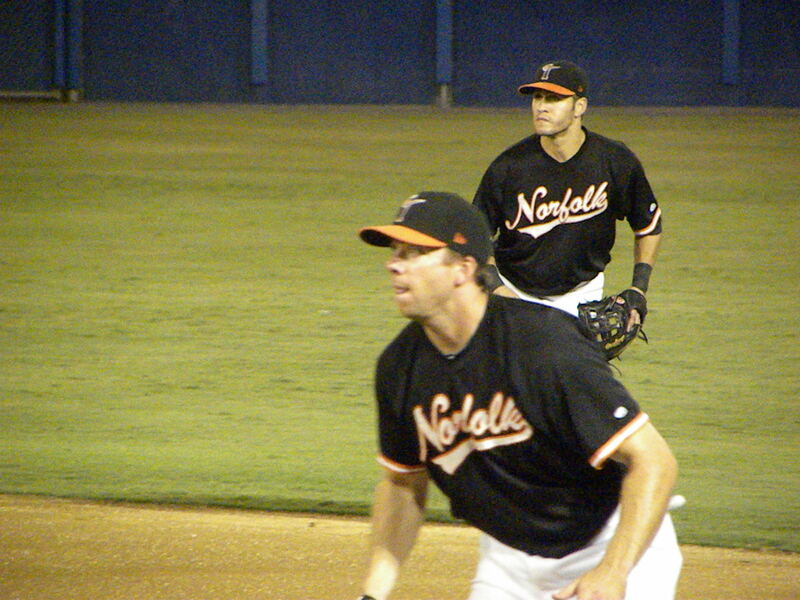 By no means, they are regular guys in situations that are not the greatest to be in and they make mistakes, sometimes on the field and a lot of time in relationships. That is why I think that they are good examples; they are real not some kind of untouchable perfect hero. I can relate to guys like that. I know that I’m a Mendoza Line* kind of guy in a lot of ways. I’m a journeyman who has been able to be successful enough to hang around a long time in my chosen profession. I think that is how I keep my perspective, I’ve been around long enough to make lots of mistakes, experience a lot of bad times and having come through a really bad time after Iraq realize that no matter what happens things will work out. That was like being in a major slump but somehow despite everything I made it through those hard times. So when I now talk about keeping perspective on life I talk about it from a vantage point of having failed in different ways but also having succeeded in others sometimes even in the same endeavor. So my perspective is now I know that I can’t control what is happening in all the world’s crisis points or for that matter almost anything, I need to take care of the people and things that I have a little bit up influence upon. *The Mendoza Line is named after Mario Mendoza who played for the Pittsburgh Pirates. He hit for a career batting average of .215 and the Mendoza Line is considered to be a .200 average which is the line below which players can pretty much be assured that they will not remain in the Major Leagues. Tonight is another baseball and life movie night with Game 6. The film stars Michael Keaton who plays an actor struggling with cancer, divorce and his relationship with his teenage daughter. He is a diehard Red Sox fan during the 1986 World Series. If time permits I’ll see what else I have on the shelf. *The Mendoza Line is named after Mario Mendoza who played for the Pittsburg Pirates. He hit for a career batting average of .215 and the Mendoza Line is considered to be a .200 average which is the line below which players can pretty much be assured that they will not remain in the Major Leagues. 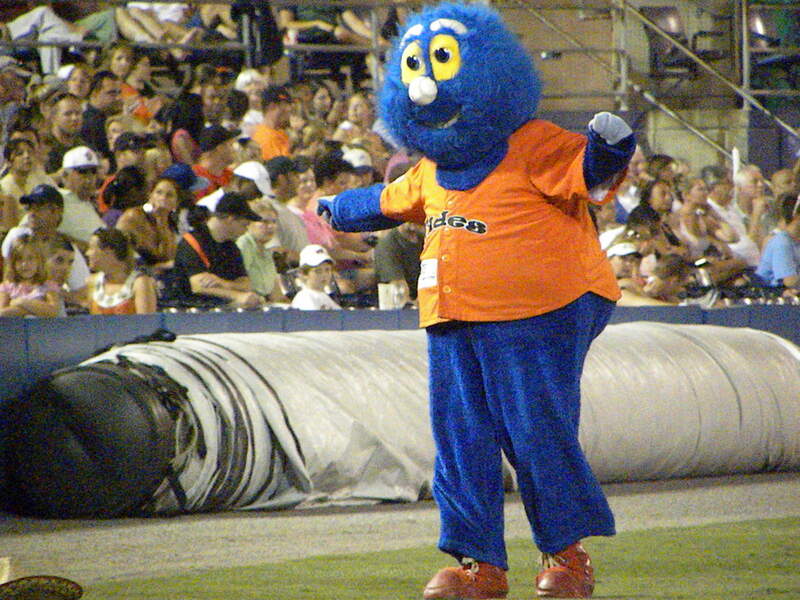 Now that the World Series is over it is time for my annual Norfolk Tides photo essay. 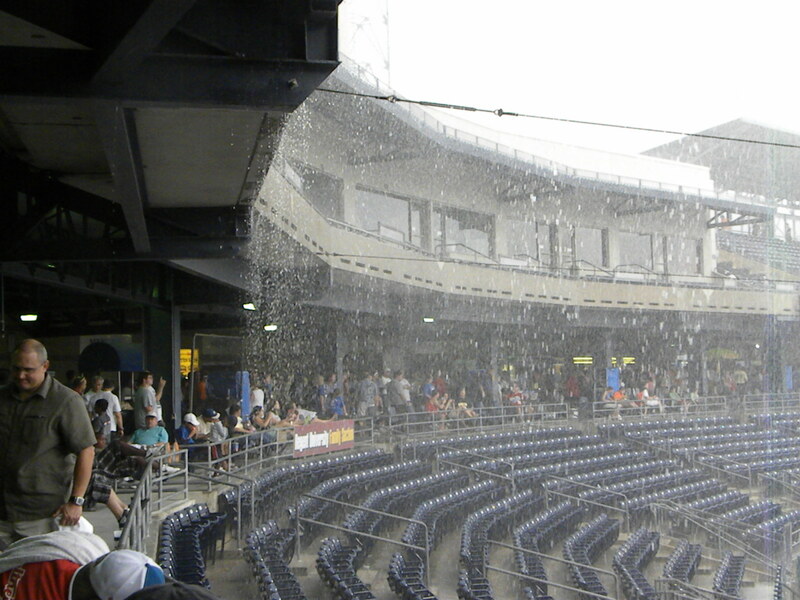 This time of year is kind of sad for me because baseball is over until the Spring and one of my refuges from the storms of life goes away for a time. 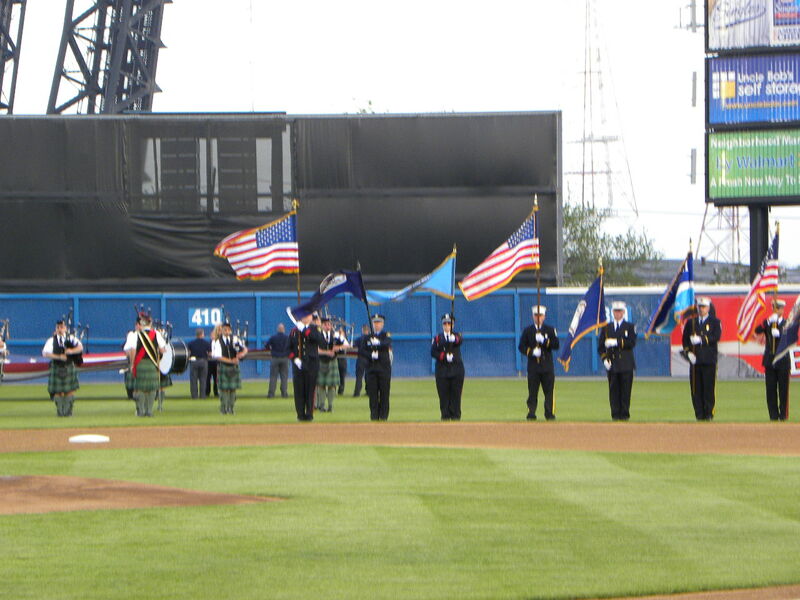 Baseball has its own liturgical cycle beginning with Spring Training moving to Opening Day, the All-Star Game, the Pennant Race, the Post Season and the World Series. 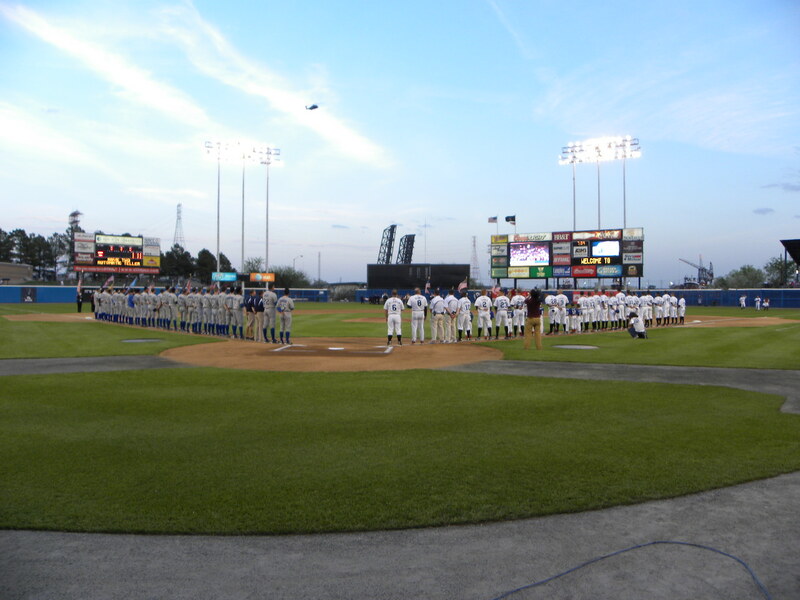 The season began at Harbor Park with the Home Opener in early April and closed on the Road. From my vantage point in Section 102 I had the opportunity to watch some great baseball, get some great pictures and become friends with some great people. 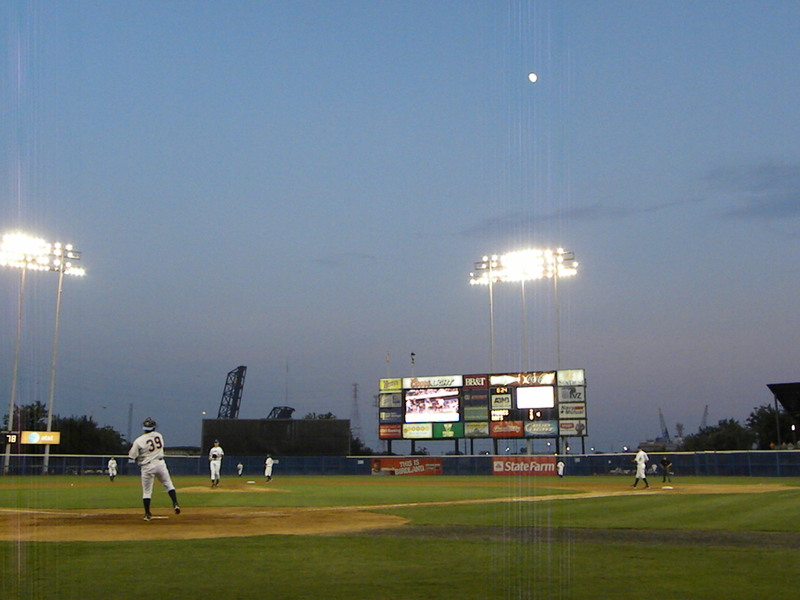 These photos chronicle the 2010 season at the Church of Baseball, Harbor Park Parish and is dedicated to the players and management of the Norfolk Tides. 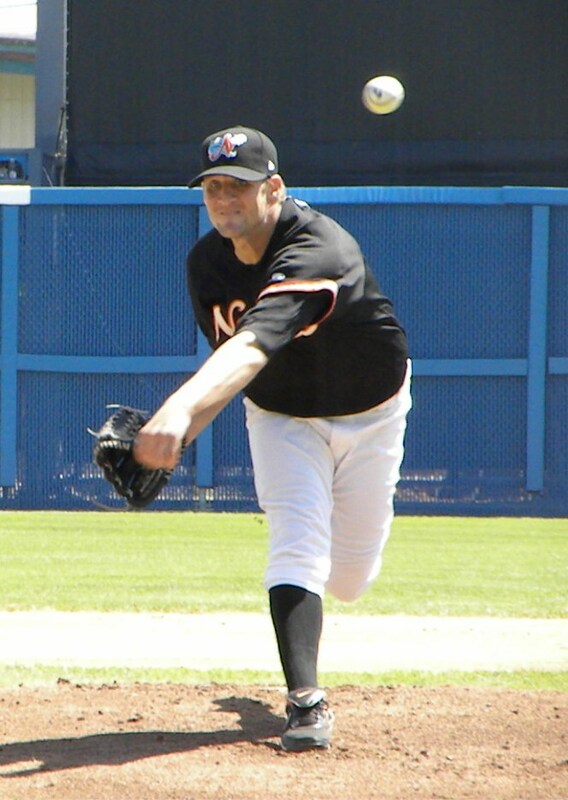 Andy Mitchell’s flowing submarine delivery continued in 2010 although he struggled at times. 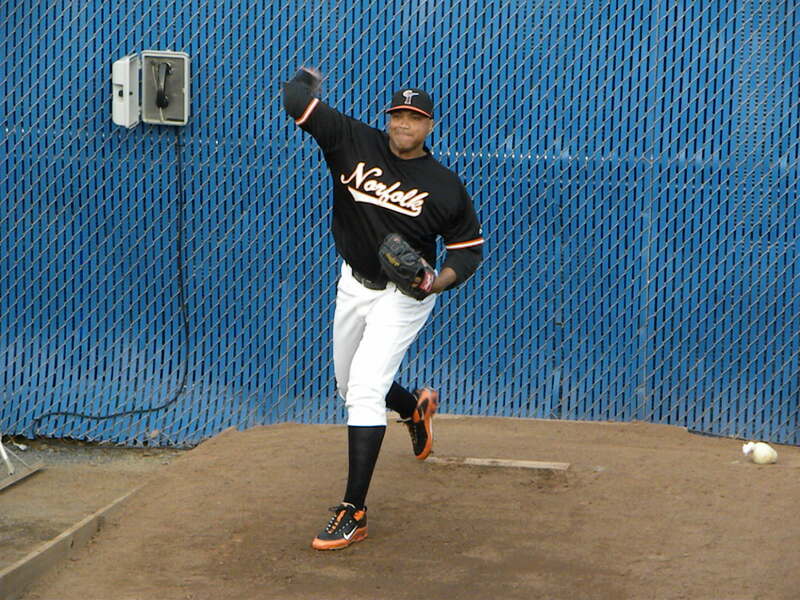 He was the go-to man in middle relief for much of the season and saved many bullpen arms. And so the season ended and this team will go different ways, many players that I consider friends will move on and others up. New prospects will come up and some of the team will be back. 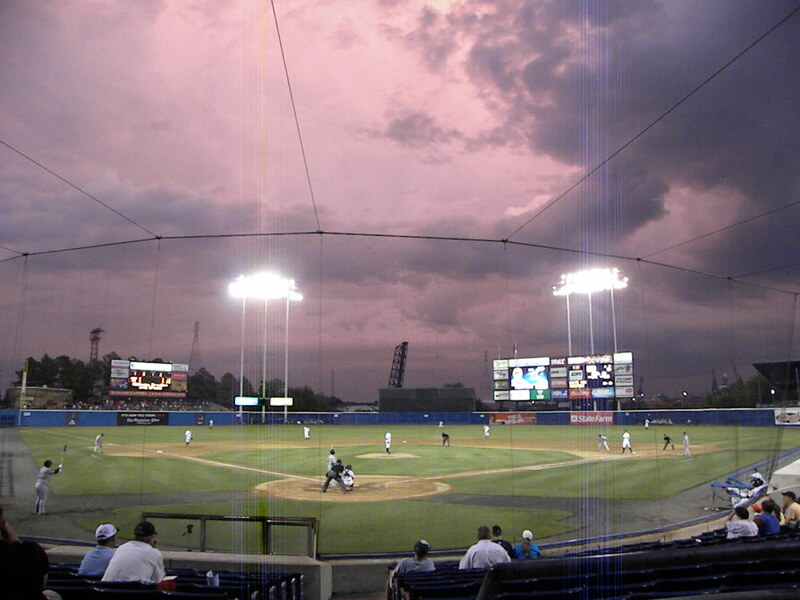 To my friends and all the 2010 Norfolk Tides have a great off season and my best to you and your families. 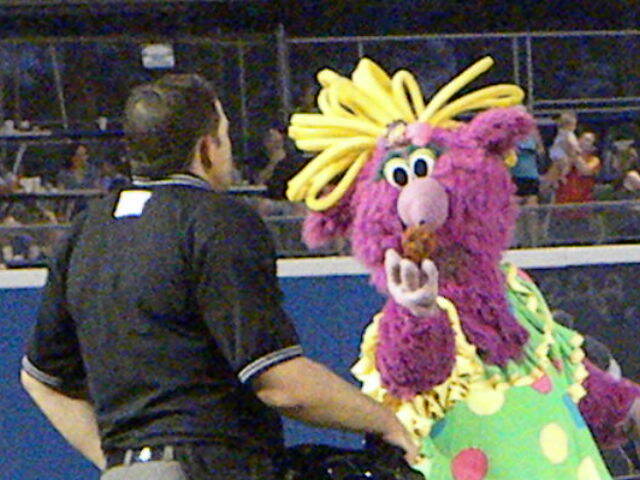 I love all things baseball as the Deity tends to speak to me through this most spiritual of games. I can’t get around it I am mesmerized by the diamond and the nuances of the game, the sights, sounds, smells, which make up the experience as well as the games within the game. 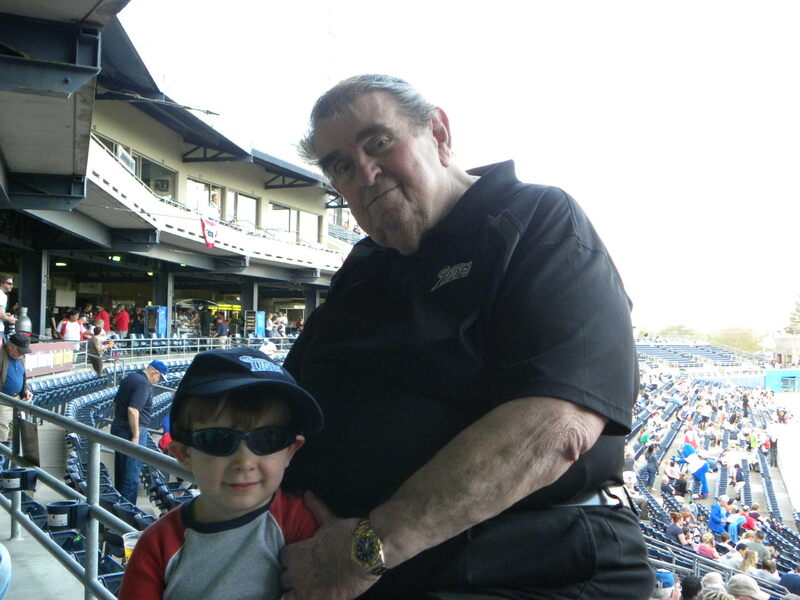 I live for opening day and the call of Spring Training is my first indication of life returning after the cold desolation of winter and the All-Star Game triggers memories of the past greats and my interaction with the various legends of Baseball. 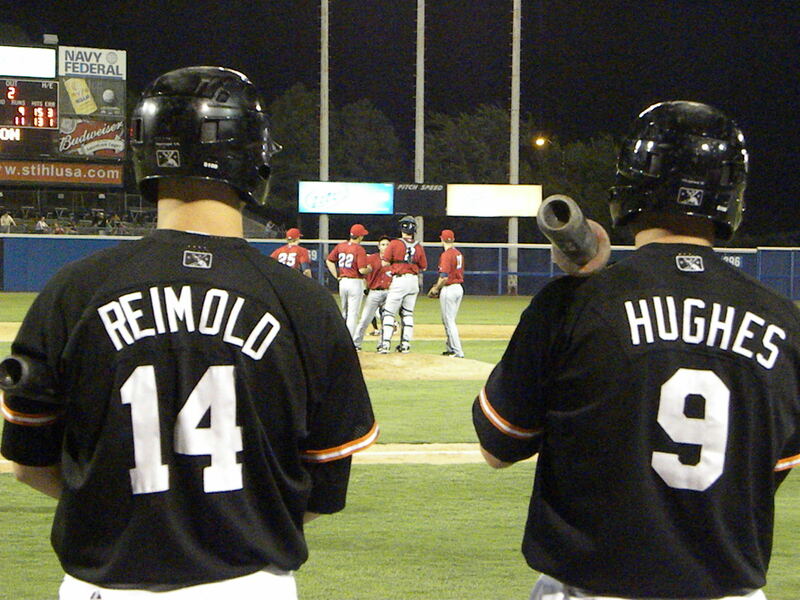 Tell me if I’m strange but I even get excited about trading deadlines and call-ups of Minor Leaguers in September. Speaking of September I love the pennant races and this year there are a couple of note. These are my predictions regarding the teams that I think that will make the playoffs. Since I am neither the Prophet nor the Son of the Prophet I could be wrong, but I was pretty accurate last year. So here I go again, at least if I get this wrong I won’t be taken outside the city gate and crushed to death with heavy stones, unless someone is actually wagering on games based on my picks. If that is the case I don’t even want to think about it. 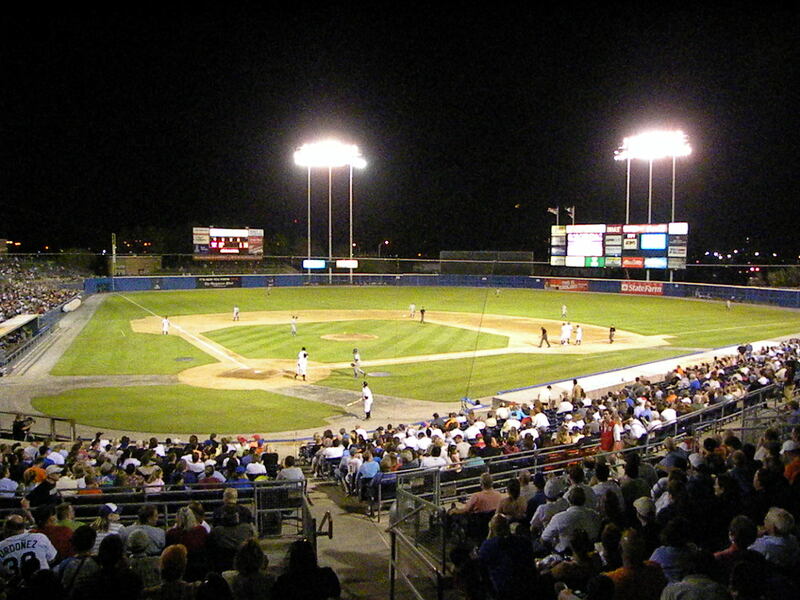 Starting in the American League we have the New York Yankees and the Durham Bulls South, or as they are better known the Tampa Bay Rays. These are such contrasting franchises; one built around veterans and several future Hall of Fame members and the other full of young raw talent and experienced young players. 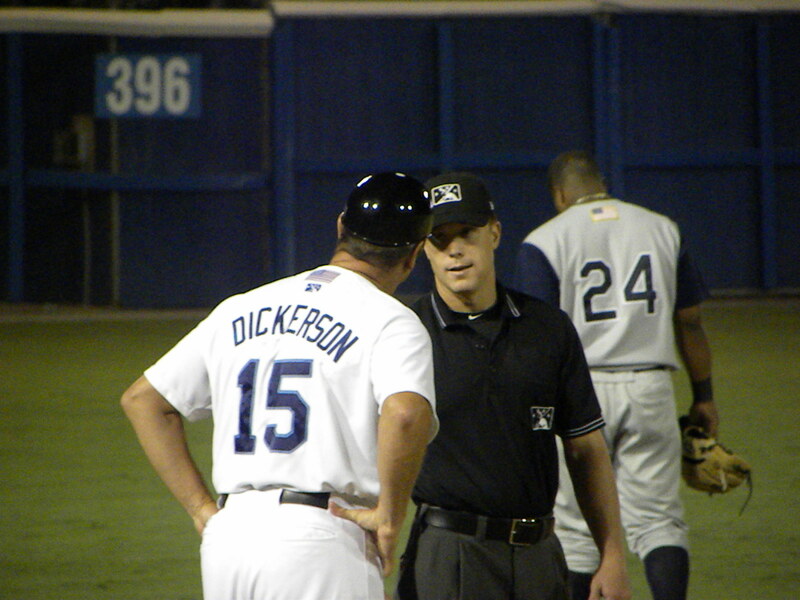 They have been in a fight for the division most of the year but especially over the past month. The Yankees are a half game up on the Rays as of today. With 13 games left for the Yankees and 14 for the Rays this is a tossup. The Yankees and Rays meet this week in a four game series at Yankee Stadium and followed by three games with the Yankees meeting their hated rival Boston Red Sox for a three game set. The Yankees then travel to Toronto for three against the Blue Jays and finish the season at Fenway Park against the Red Sox. This is no easy schedule and I expect all three opponents to challenge the Yankees. The Rays have the easier schedule and this may prove to be the difference if they avoid a sweep at the “House that George Built.” I expect at least a split against the Yankees but they then go home to play three with the Mariners and three with the Orioles at the Trop. I don’t see much trouble with the Mariners but the Orioles under Buck “play to win every game” Showalter could play the spoiler if the Rays are not careful. 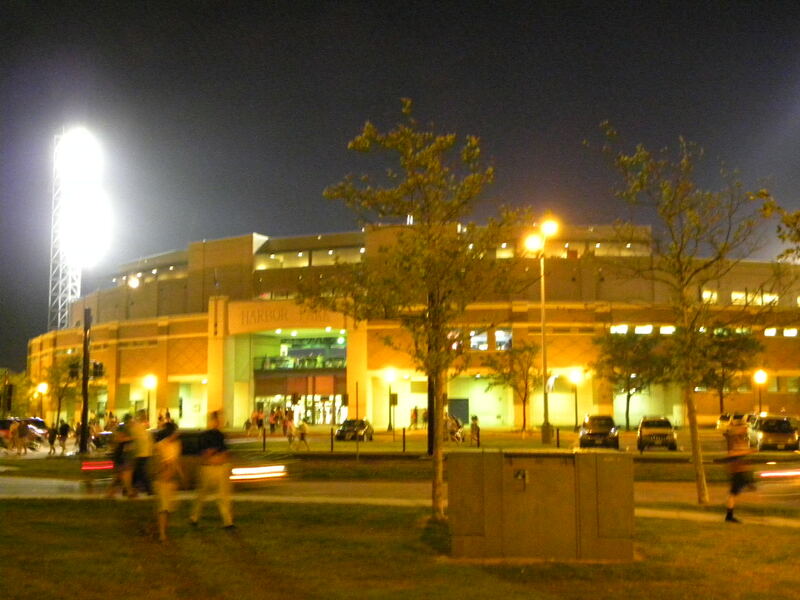 They then travel west to Kansas City where they should do well and end the regular season. My prediction: Rays win 9 of 14 to finish at 98-64, while the Yankees will win just 7 of 13 to finish at 97-65 to give the Rays the East by a game. The Yankees will be in the playoffs but as the Wild Card. The Orioles extra innings win on Sunday in Baltimore will prove to be more significant than most would expect. The Yankees need to take 3 of 4 from the Rays to give them the edge down the final stretch, if they can do this they have a chance to tie or win the division outright. The Rays have to split in New York and not allow any of the bottom dwellers that they face to surprise them and I think that the O’s just may play spoiler. In the AL Central the Twins have the division all but won with a magic number of just 4 over the seconds place White Sox who trail them by 10 games. In the West the same is true of the Rangers who have a magic number of 6 over the second place Athletics who sit 9 games behind the Twinkies. Going on the senior circuit we begin in the National League East where the Phillies and the Braves have been going at it all year. In the Phillies lead the East by 3 games over the Braves and have a magic number of 10. The Phillies are hot and the Braves have struggled the last few weeks. The Phillies have 12 games left of which 6 are against the Braves. The Braves have to take 4 of those 6 games to stay in the race. The Phillies face the Braves beginning tonight at home for a three game set and then face the rather pathetic excuse for a team called the New York Minaya’s I mean New York Mets. However the Mets are blood rivals of the Phillies so I don’t expect them to go down easily nor do I give them much of a chance. The Phillies then hit the road for 3 games against the rather hapless Nationals in Washington before travelling to Atlanta to face the Braves in the in final three games of the season. 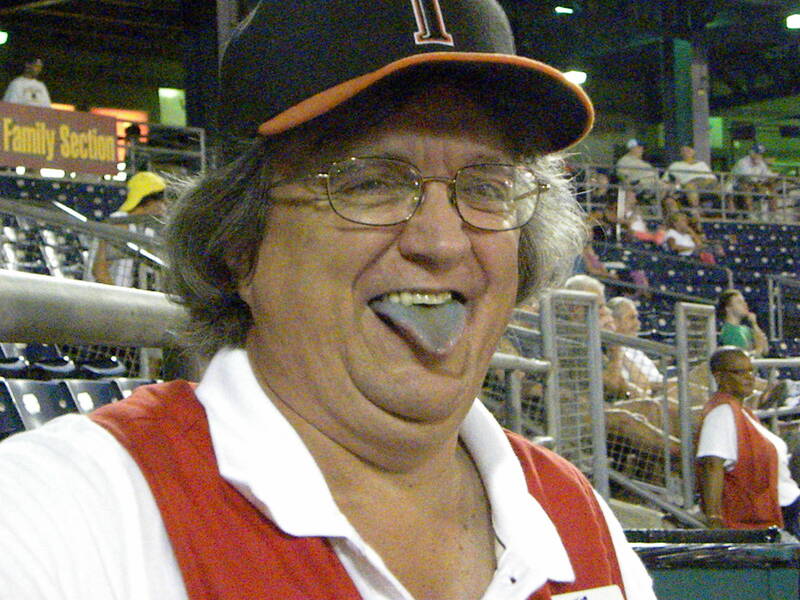 My prediction: I see Philly winning 8 of 12, splitting with the Braves and taking 5 of 6 from the Minaya’s and the Nats. The Braves as I said need to take at least 4 of six to stay in the race and win out against both Washington and the Florida Marlins and even then they need help in order for the Phillies to lose at least 6 of their last 12 games. I don’t see that happening. In fact if the Phillies dominate the Braves and the Braves split their games with the Nats and the Marlins then they may not even reach the Wild Card. Bobby Cox and crew have their job cut out over the next two weeks. In the National League Central the “who are those guys?” Cincinnati Reds hold a 6 game lead over the perennial NL Central leader St Louis Cardinals and have a magic number of 8 to clinch the Division. The Cardinals have been unable to buy wins of late and their August collapse totally surprised me as it has everyone else. The Reds have 6 games against the Brewers, 3 against the Astros and 3 against the floundering Padres. The Cardinals actually have the easier schedule with 6 against the perpetual owners of the MLB Marianas Trench, the Pittsburg Pirates and 3 games against their rival the Chicago “we ain’t ever going to win the World Series” Cubs and 3 against the red hot Colorado Rockies. They did not help matters losing a make-up game to the Marlins today. This made the Reds magic number 7 and that much harder for the Cardinals to get back in the race. We go now to the NL West where the San Francisco Giants lead their rivals the San Diego Padres by a half a game and the red hot Colorado Rockies by a game and a half. 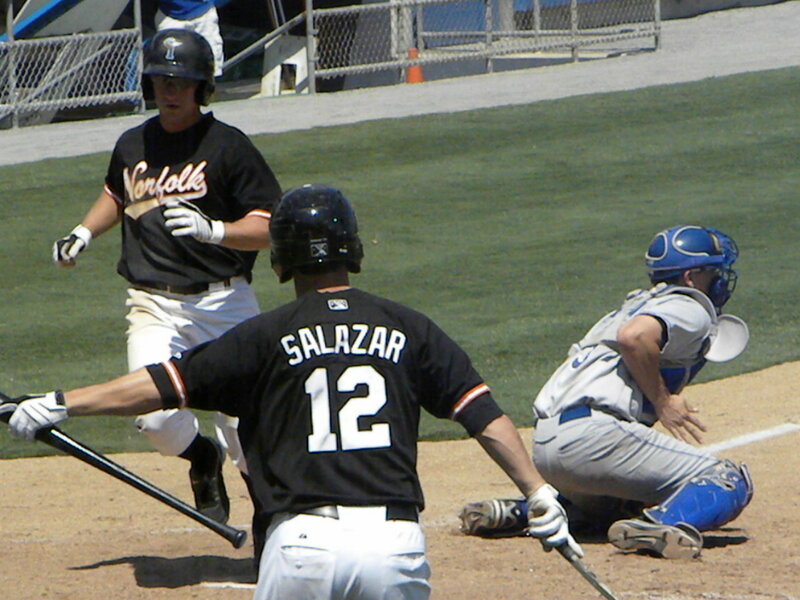 The Giants have a magic number of 13 but in a race this close that will change day to day. The Rockies schedule provides them opportunity should they stay hot and their opponents cooperate. They play the Arizona Diamondbacks in Arizona for a three game set and go home to play three against San Francisco followed by three against the Evil Dodgers before finishing the season in St. Louis against the Cardinals. My guess is that the should take two of three or sweep the Diamondbacks, split their series against the Giants and probably sweep the Evil Dodgers even though right now I would prefer that the Dodgers sweep them. I guess I am like Winston Churchill in saying that he would become an ally of the Devil if the Devil was against Hitler. The final three games against the Cardinals could spoil the hopes of the Rockies because I think that the Cardinals have far too much organizational pride to go down easy. As a result I think that the Rockies go 7 of 12 to end the season. The Padres have struggled of late and I think this will continue. The Friars play the Evil Dodgers and I think that this series is a tossup with the Dodgers possibly taking 2 of 3 games. They then go home to face the Reds and I think that the Big Red Machine will take 2 of 3 at Petco Park. The Padres then play against the Cubs who just might take 1 of 3 from the Padres. 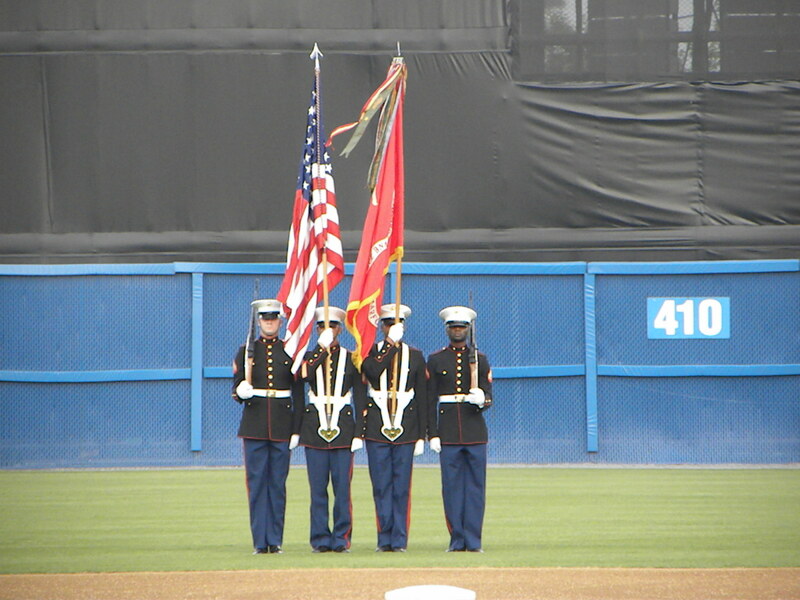 The Padres finish their season against the Giants in PacBell Park and I think that the Giants take 2 of 3 at home. As a result I think that the Padres go 5 of 12 to end the season. The Giants face the Cubs for a three game set which they should sweep or take 2 of 3. They then go against the Rockies where I think they will go 1 and 2. The then face the Diamondbacks and I believe that they go 2 of 3 against them before ending the season in San Francisco against the Padres where they take 2 of 3. T believe that the Giants go 7 of 12 and take the West by 1 and a half games above the Rockies with the Padres fading to third two and a half games back. My prediction is that the Giants take the west by a game and a half over the Rockies with the Padres fading back to third. Despite this the division could go to any of the three teams as none have any margin for error and it is likely that the team that remains hot will win the division. 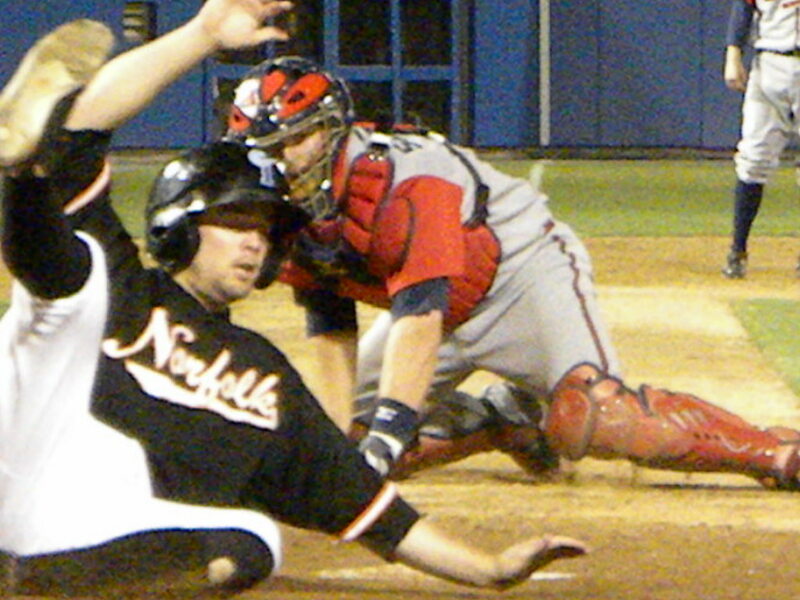 My prediction which is primarily based on how the teams are doing right now coupled with their schedule is that the Giants will win, but I could be wrong on this as a grounder with eyes, a bloop single or a booted ground ball could be the difference in a critical game that could decide the race. Id the Braves falter I believe that whatever team finished second in the NL West will be the Wild Card in the NL. I do not think this will happen based on the schedules but stranger things have happened. American League: AL West- Rangers, AL Central- Twins, AL East Rays, Wild Card- Yankees. We’ll see if I am as good as I was last year, but wait I didn’t start making predictions until the playoffs last year. Even if I’m wrong about these I can redeem myself by doing what I did last year in the playoffs and World Series. 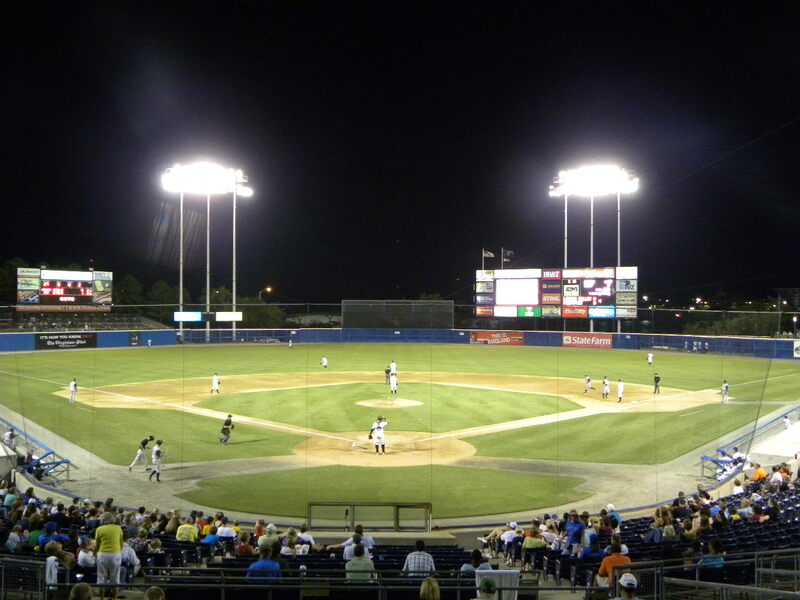 The Norfolk Tides entered Sunday with a five game winning streak hoping to finish the season on a winning note by defeating their International League South nemesis the Durham Bull’s. 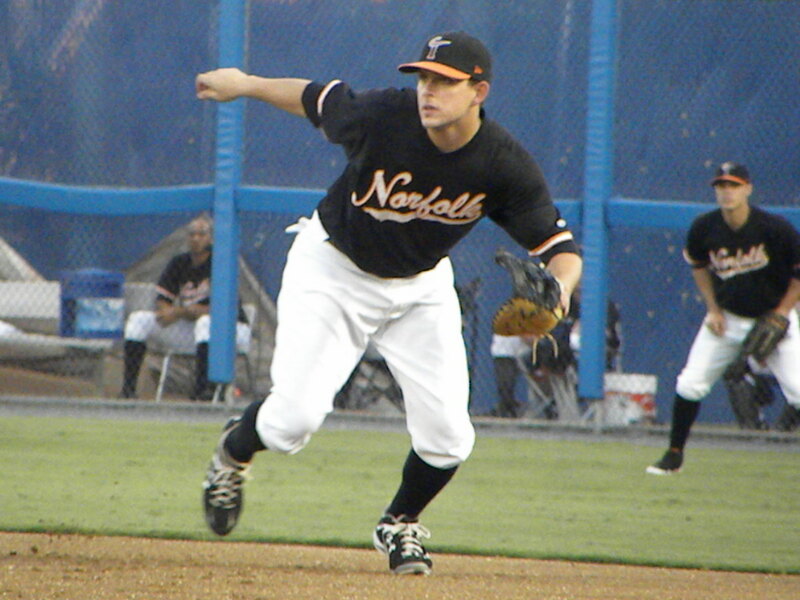 The Tides had taken the first game of the series 7-6 on Saturday behind the hitting of Third Baseman Scott Moore with Frank Mata getting the win in relief. 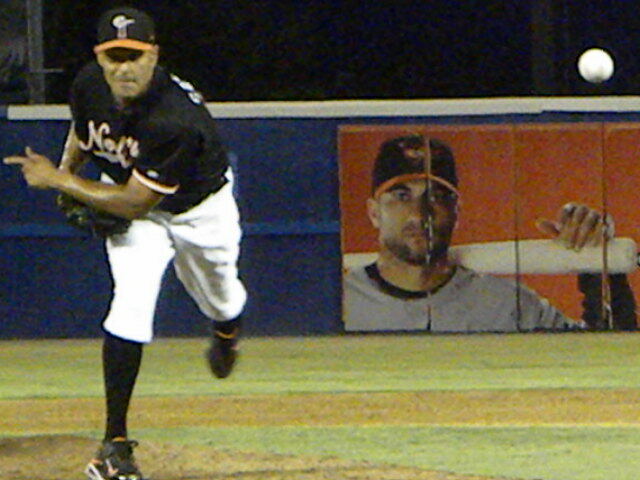 On Sunday the Tides sent Armando Gabino to the and the right hander making a spot start had a 5-3 lead when he came out of the game at the end of the 5th inning. 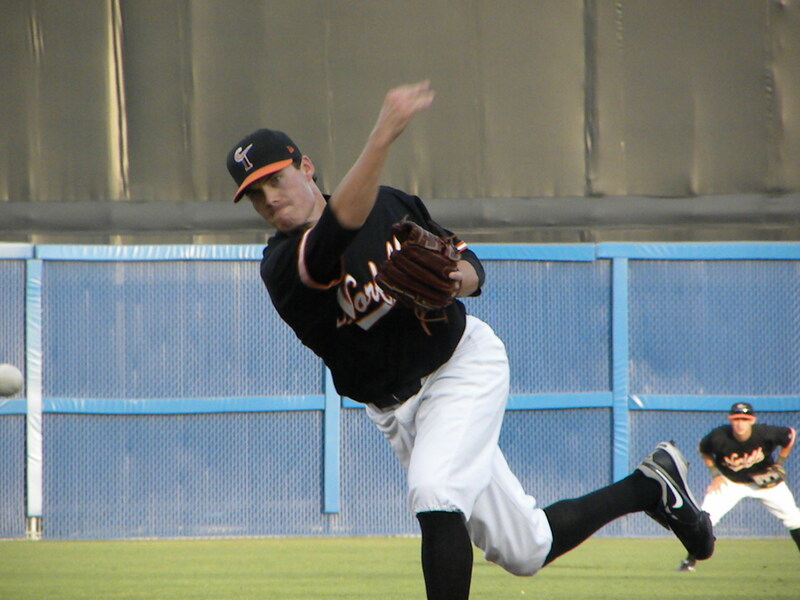 Kam Mickolio pitched two innings. 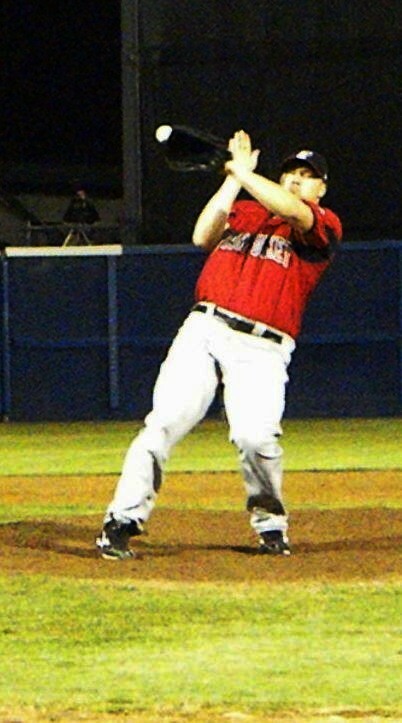 In the 7th Kam sent the Bulls down in order but in the 8th game up a walk and a single and was replaced on the hill by closer Dennis Sarfate who has set down the opposition like clockwork with 20 saves this season. However Sunday the usually reliable Sarfate, who has pitched the Tides out of numerous jams in the late innings did not have a good day. 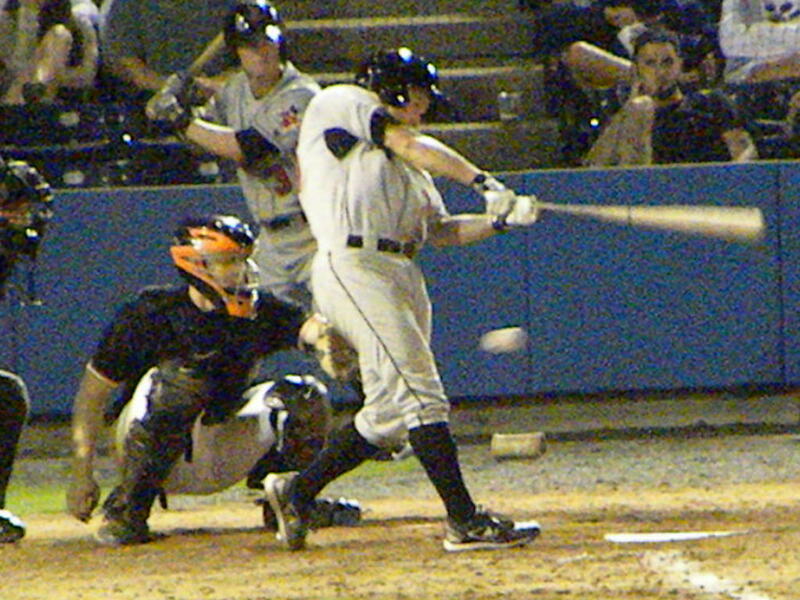 After striking out Kyle Holloway, Sarfate gave up a triple to Tide Killer Elliott Johnson to score both runs which were charged to Mickolio. 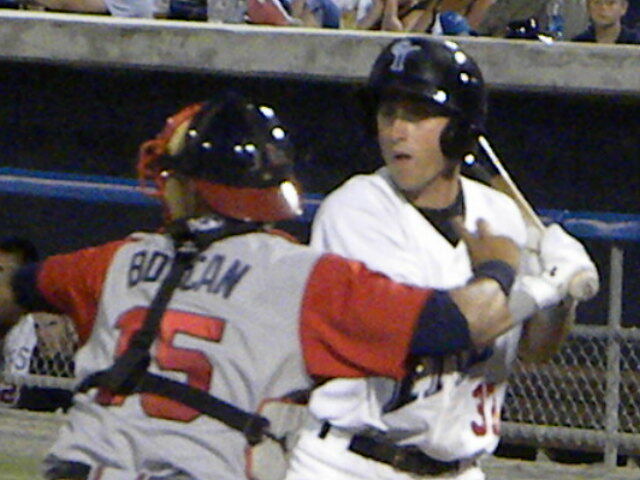 With the score tied and Johnson on third base intentionally walked the hot hitting Chris Richard to get to Joe Dillon. 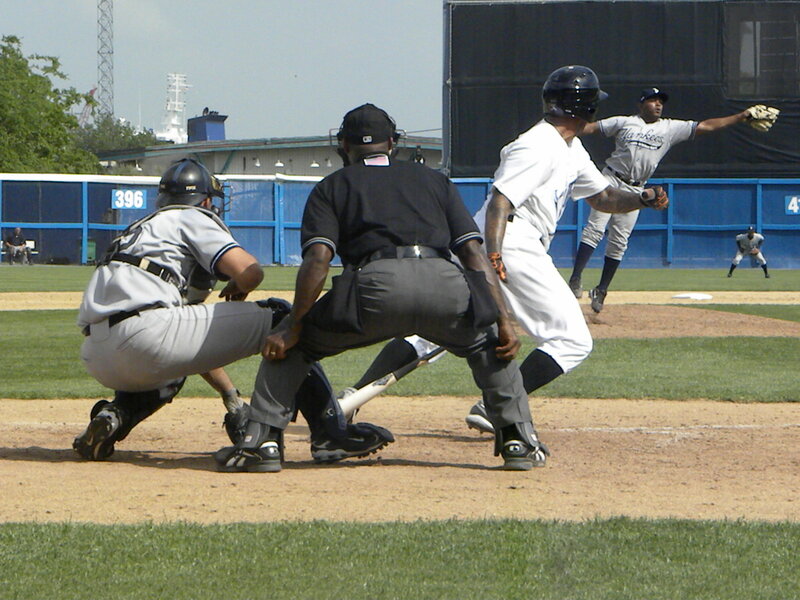 Dillon hit a sacrifice fly ball to center which scored Johnson to give the Bulls a 6-5 lead before Leslie Anderson grounding into a force out to end the inning. 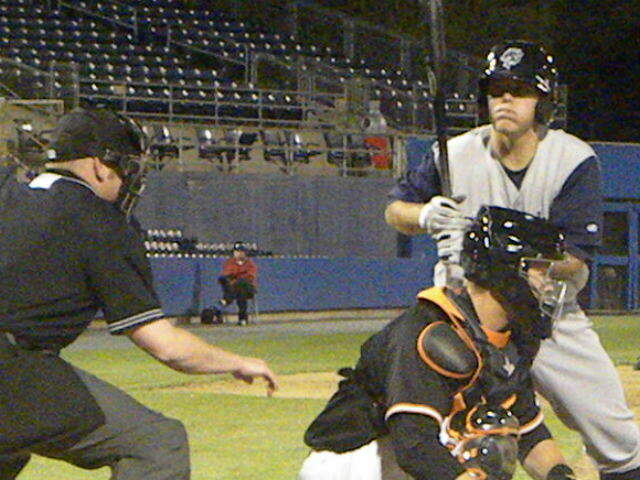 In the top of the 9th innings the Tides got Jeff Salazar aboard on a two out single but Michael Aubrey struck out on a long at bat against Joe Bateman to end the game. 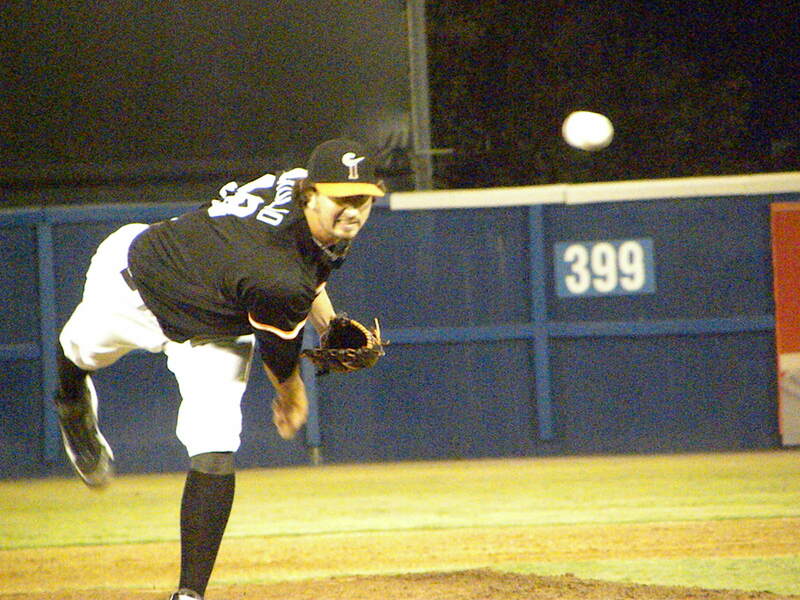 Sarfate (2-2, 20S 2.73 ERA) got the loss and Bateman (7-0 1.66 ERA) got the win for the Bulls. 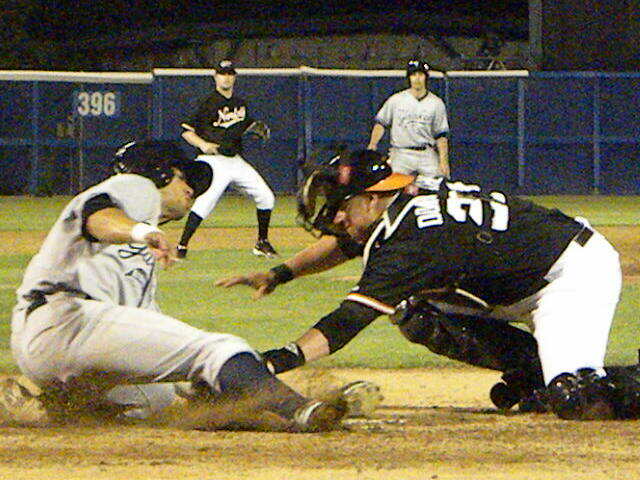 The Tides outhit the Bulls but came up short having 5 runs on 10 hits with 1 error leaving 8 men on base. The Bulls 6 runs on 6 hits with no errors leaving 3 aboard. 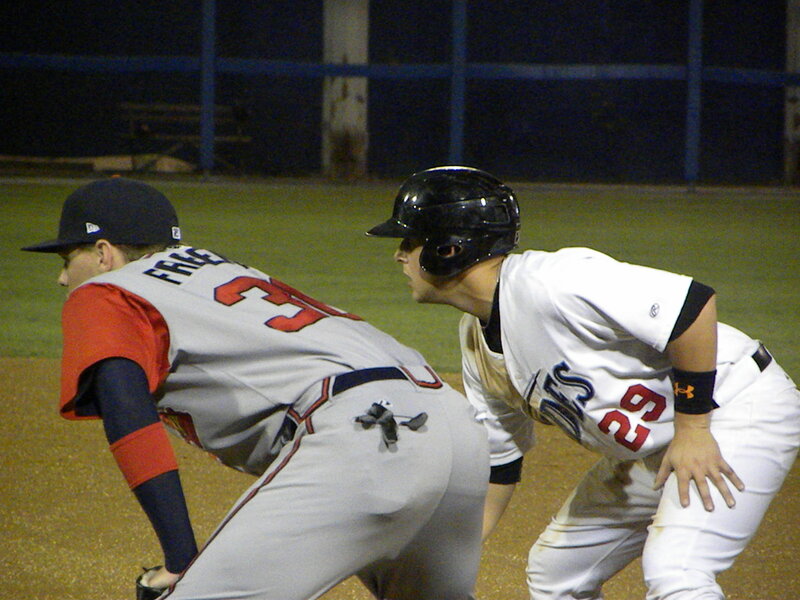 On Sunday the Tides suffered another disappointing 12 inning loss to the Bulls. 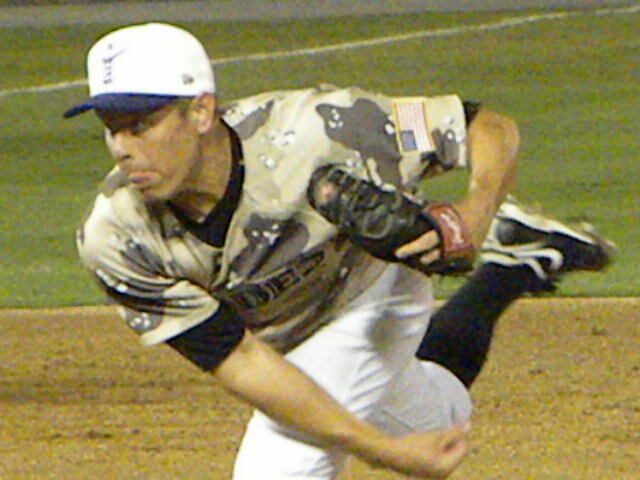 The Tides sent Tim Bascom who of late had pitched very well against the Bulls but the young right-hander was roughed up giving up 5 runs on 11 hits in 5.2 innings work. 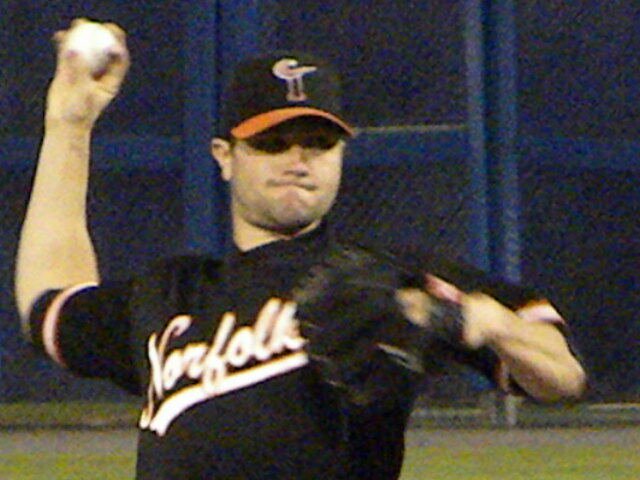 Tides relievers Pat Egan and Jim Hoey held the Bulls as did Mike Hinckley who pitched three innings but gave up a leadoff double to Justin Ruggiano in the bottom of the 12th inning. 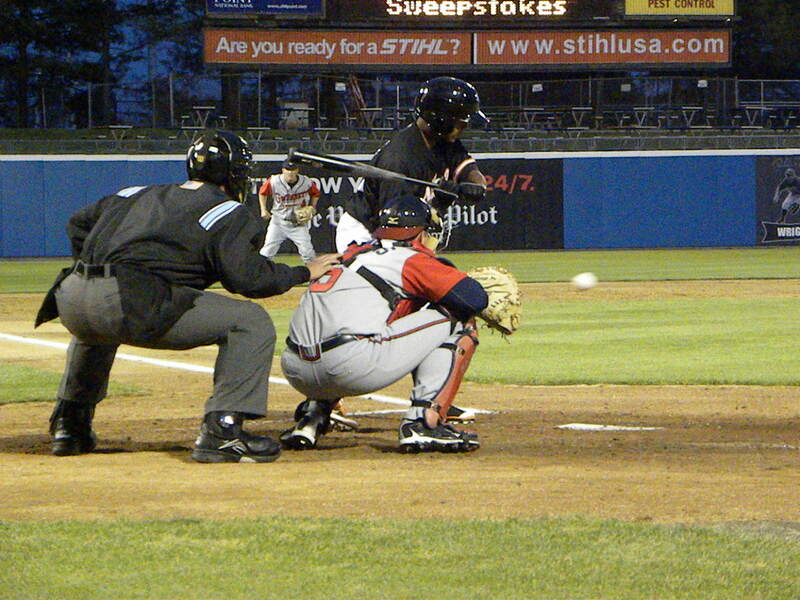 Ruggiano advanced to 3rd on a sacrifice bunt by Nevin Ashley. 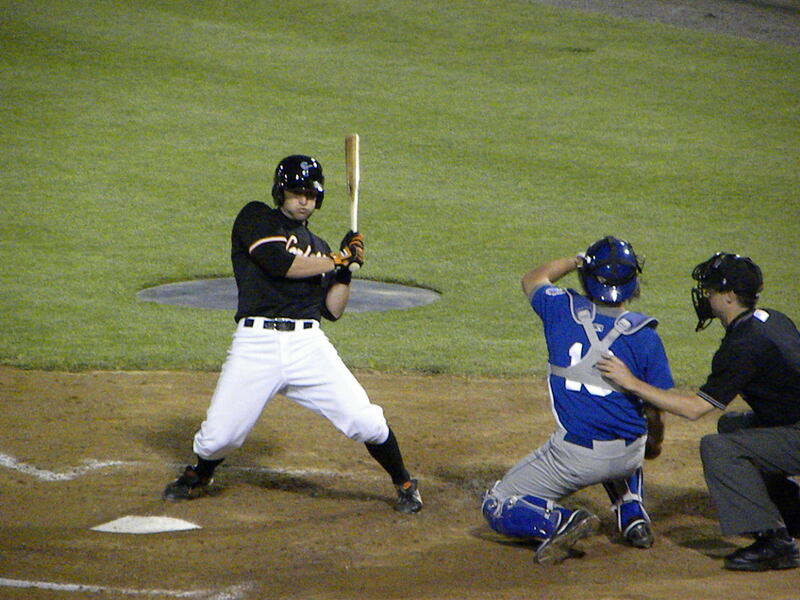 Hinckley then intentionally walked Joe Dillon before giving up the game winning single to Leslie Anderson. 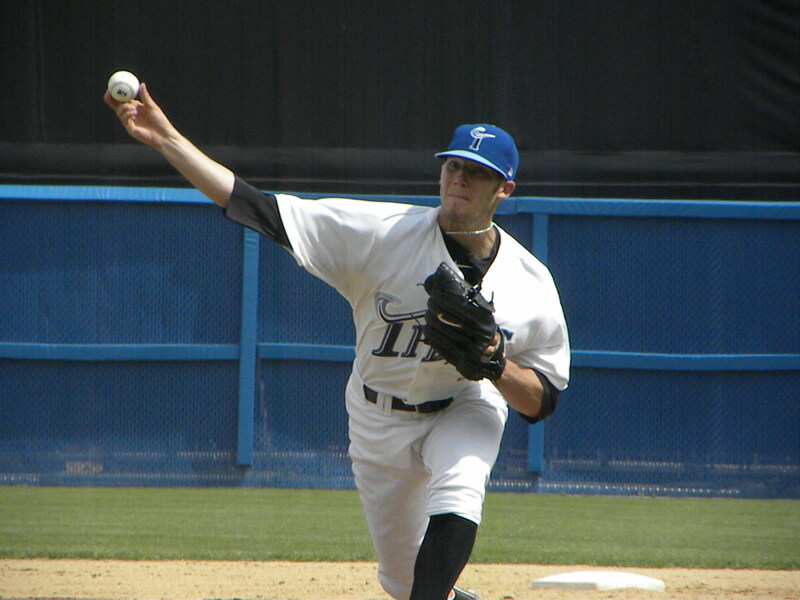 Hinckley (1-4 4.19 ERA) who pitched well got the loss for the Tides in his first appearance after coming off of the DL while Paul Phillips (1-0 1.69 ERA) picked up the win for the Bulls. 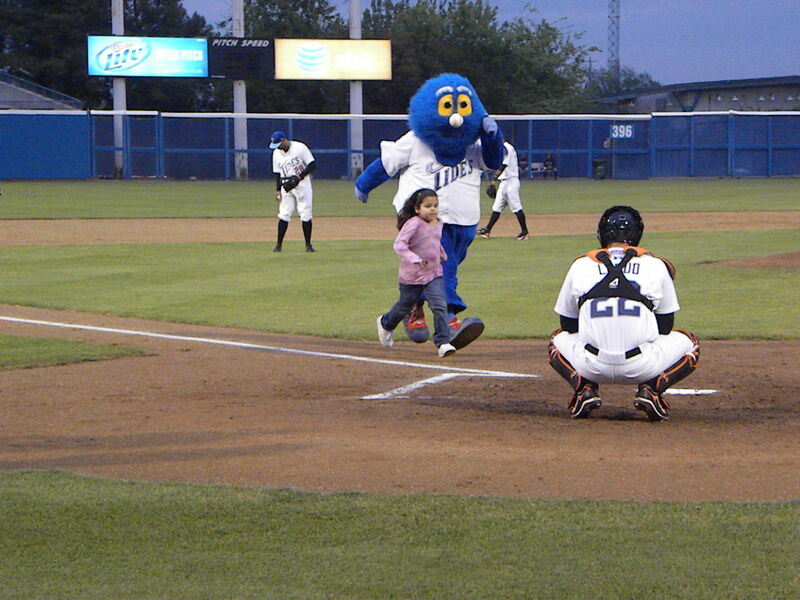 The Tides had 5 runs on 12 hits with 2 errors leaving 8 runners stranded. 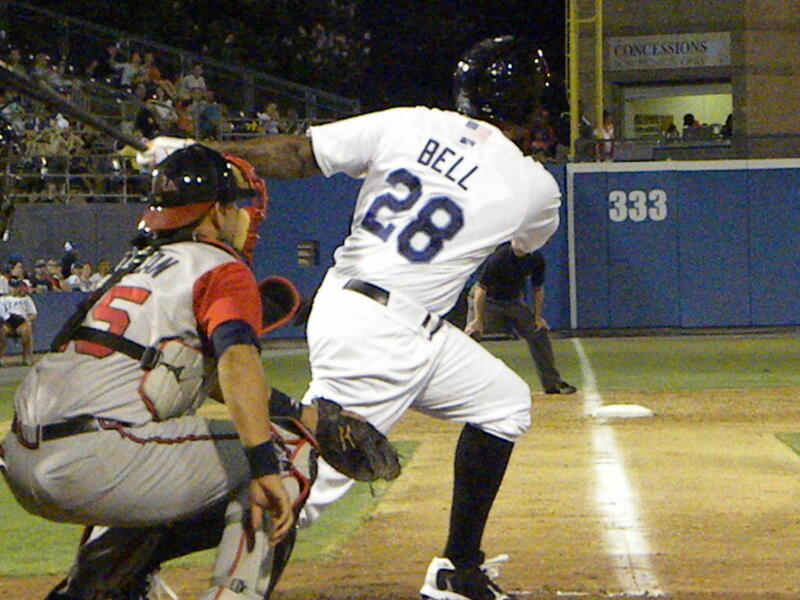 The Bulls had 6 runs on 17 hits with 1 error leaving 12 men on base. 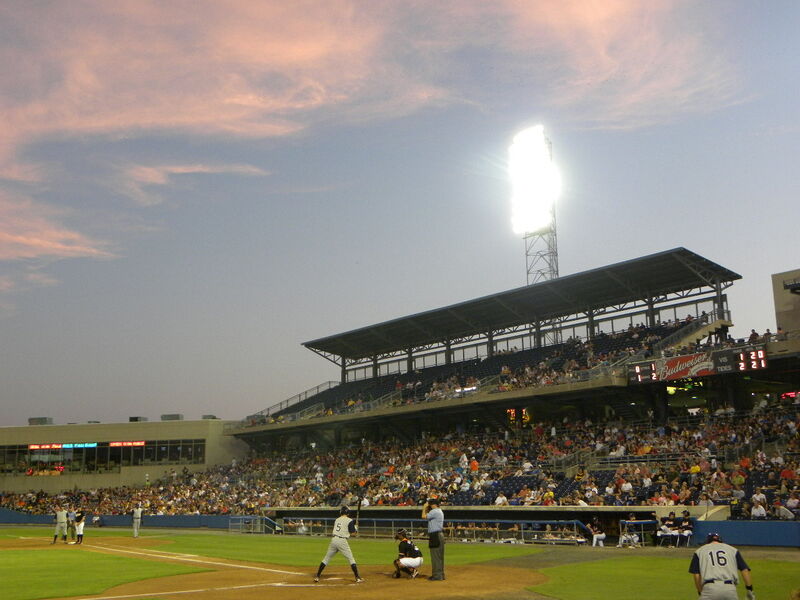 The Tides finished the year tied with Charlotte for 3rd in the IL South with 67-77 records. 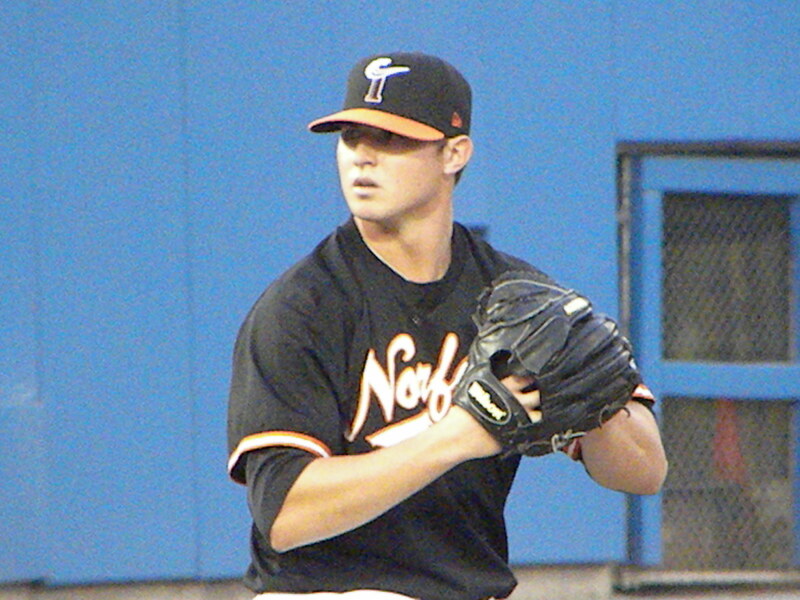 The day following the game the Orioles called up Troy Patton. 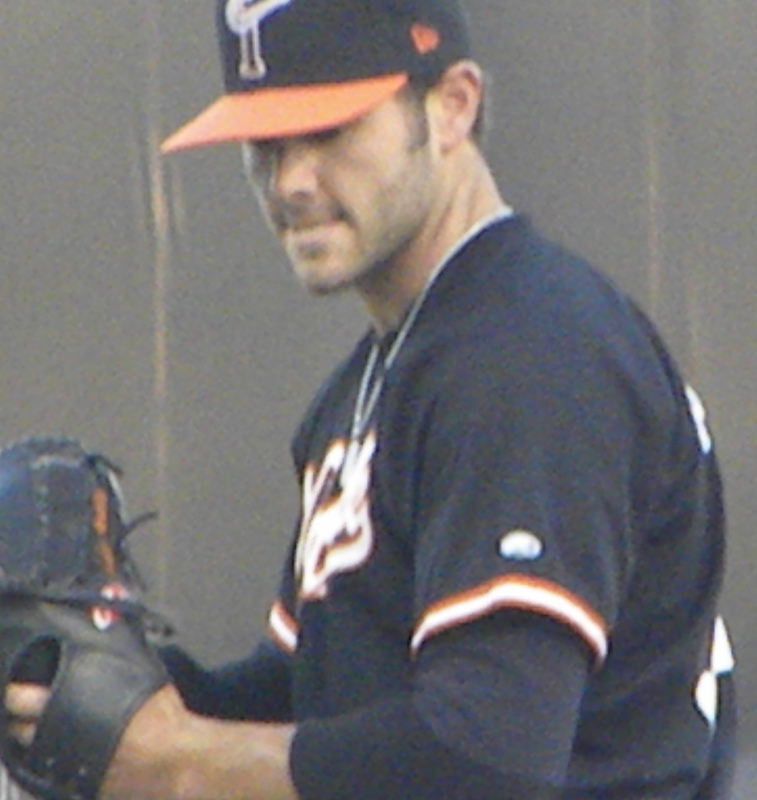 On Monday and Tuesday the Orioles defeated the New York Yankees in New York with former Tides figuring in the wins especially on Tuesday as Jake Arrieta got the win aided by a home run by Nolan Reimold and some outstanding defense including that of Robert Andino at shortstop. 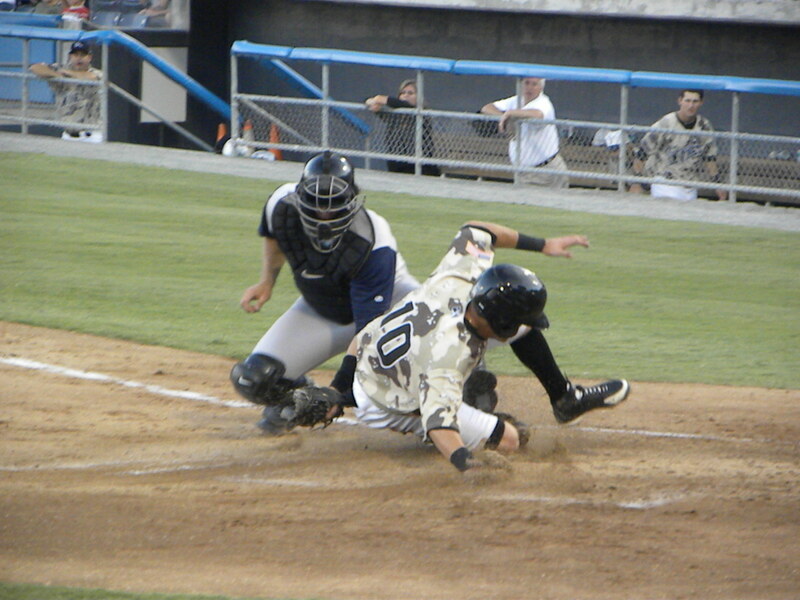 In the coming days and weeks I will do some analysis of the Tides 2010 season. 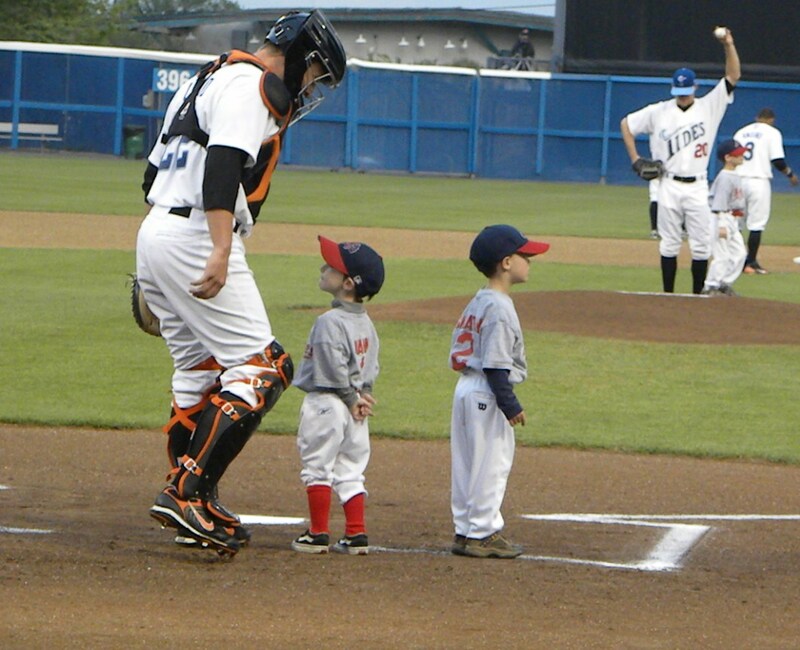 I will miss this year’s Tides players many of whom that I gave come to know over the past two years. 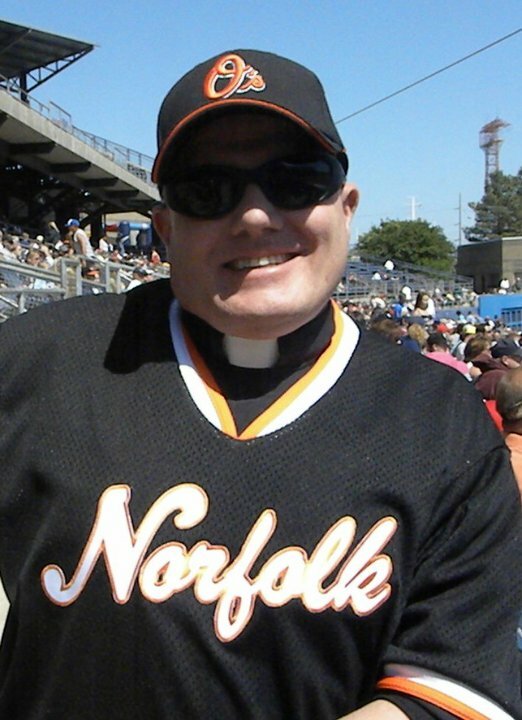 The Orioles have stated that the off season will be very active and that will certainly affect the careers of some of these young men that I count as friends. It is my hope and prayer that they will all continue in baseball and make the Majors at some point be it with the Orioles or another organization. 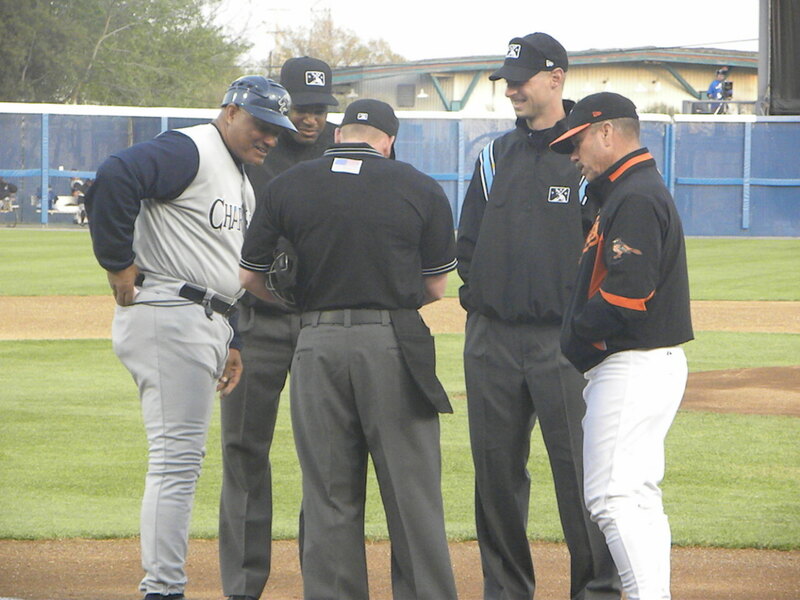 Some of those that are getting older may not continue but I hope that they too will be able to remain in baseball in the professional or collegiate ranks managing, coaching or scouting as so many others have done. 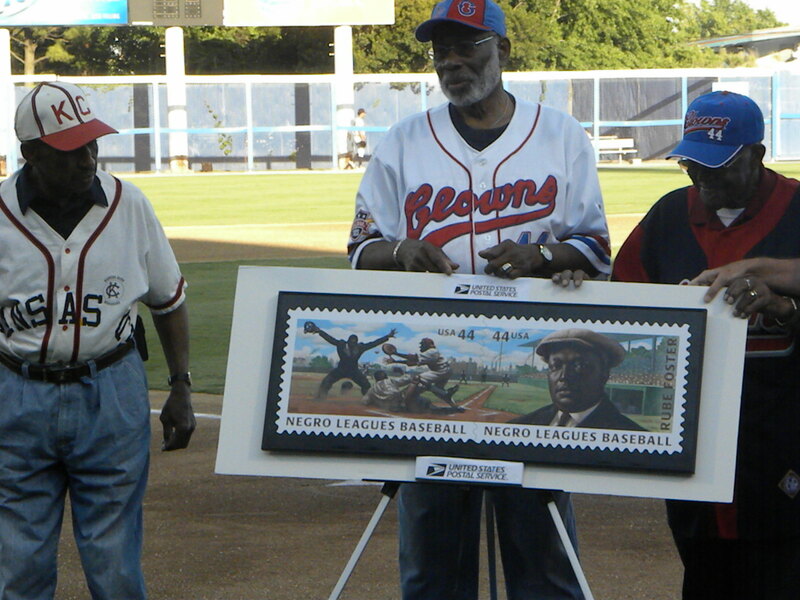 The Durham Bulls have been the nemesis of the International League for the last 3 years. 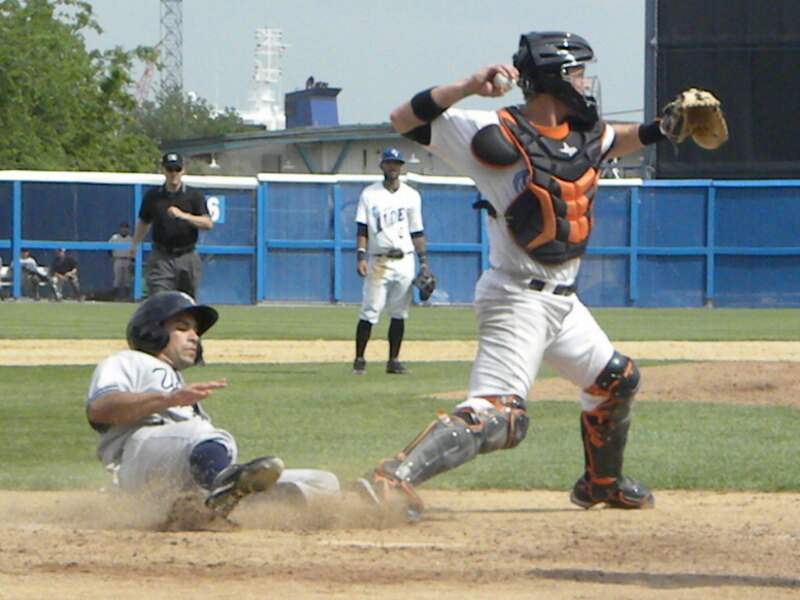 The reigning IL Champions and AAA World’s Series winner from 2009 are poised to repeat again as they head into the post season as IL South Champions, a crown that they have worn since 2006. 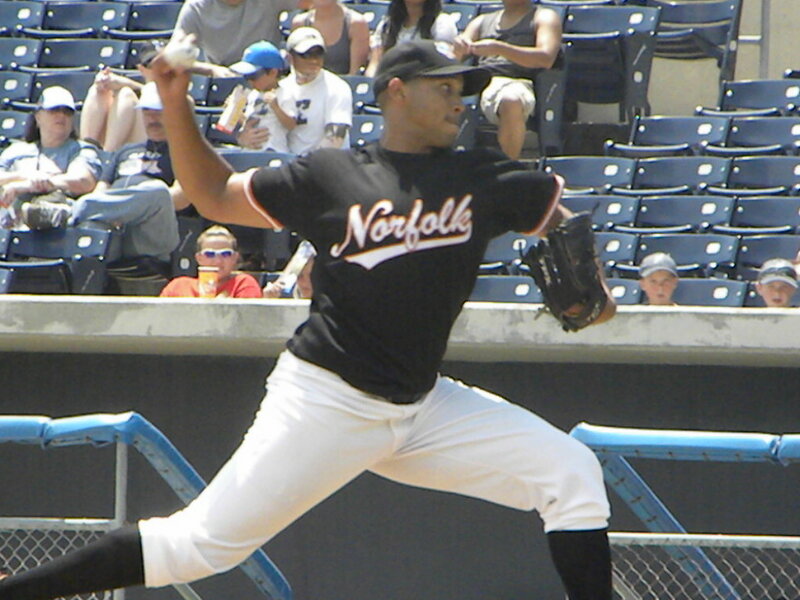 This year the Bulls have pretty much owned the Tides going 14 and 5 against Norfolk going into today although 7 of those losses were by two runs or less. 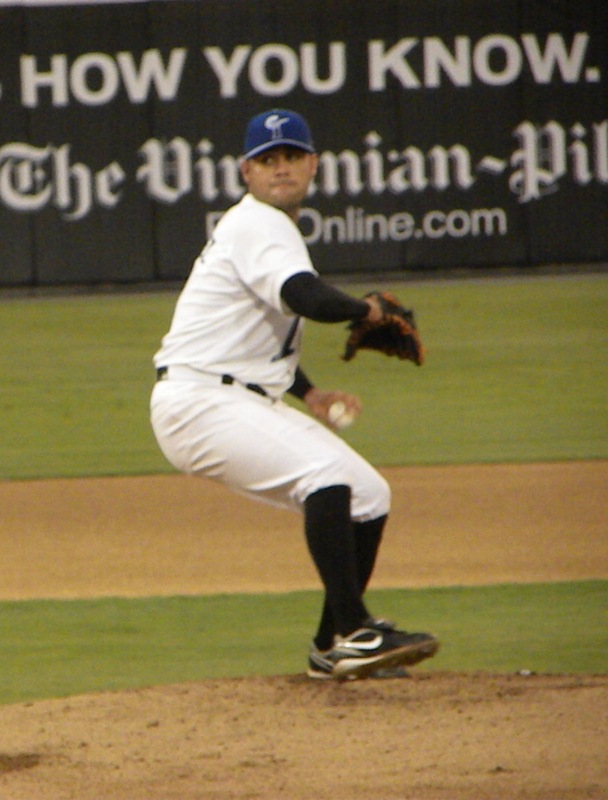 The Tides started Zach Britton against Durham starter Ramon Ortiz. 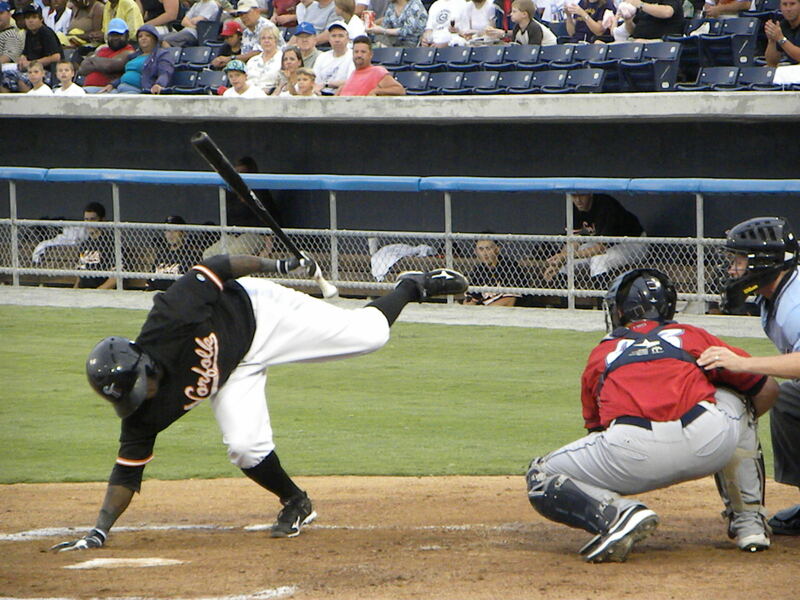 The Tides offense jumped Ortiz in the 1st inning. Ortiz walked Paco Figueroa with one out and then gave up a single to Jeff Salazar. 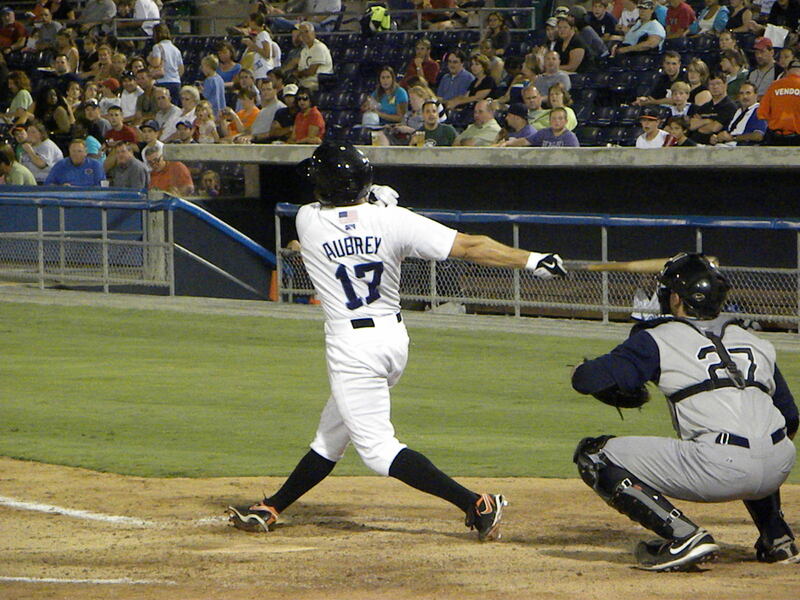 He then committed an error missing a catch at first to allow Michael Aubrey aboard and load the bases. 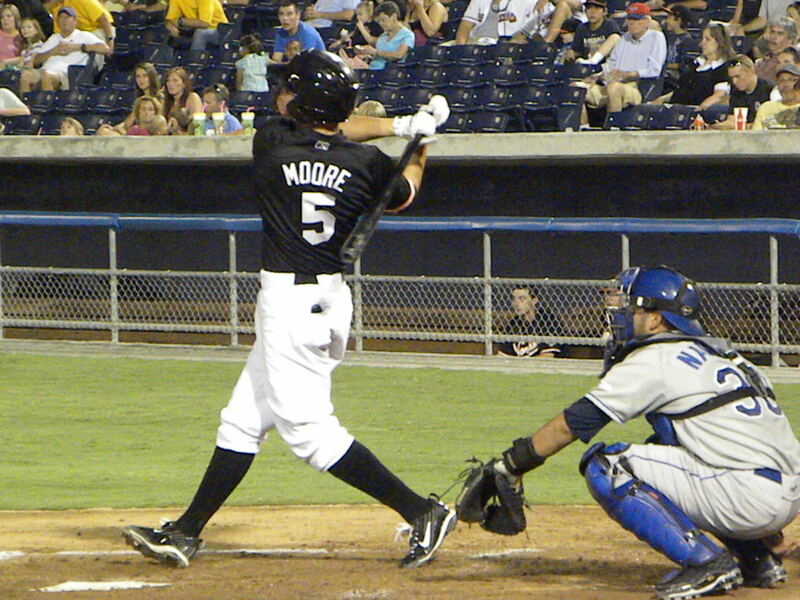 Scott Moore then took a 2 and 0 pitch over the over the right field wall for a grand-slam home run to give the Tides a 4-0 lead. 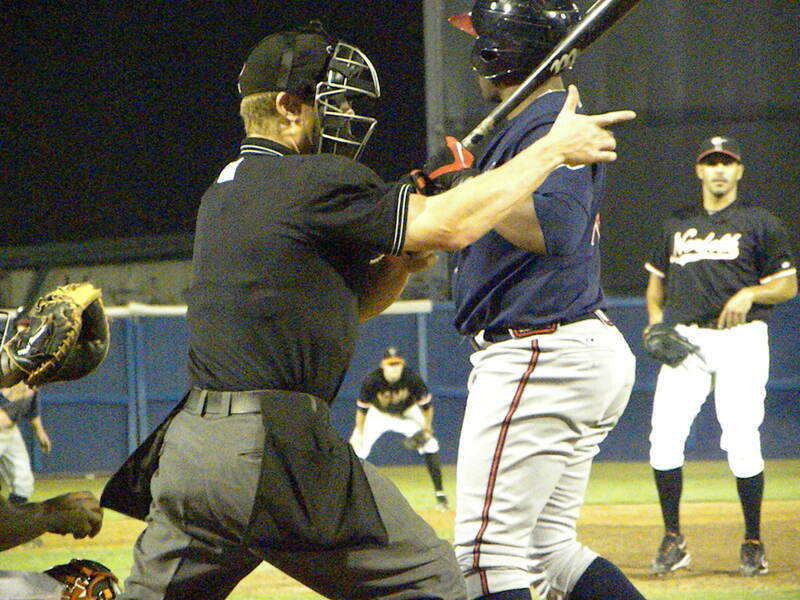 Rhyne Hughes came to the plate and singled before Ortiz was pulled in favor of Dale Thayer having given up 4 runs on 3 hits registering only 1 out. 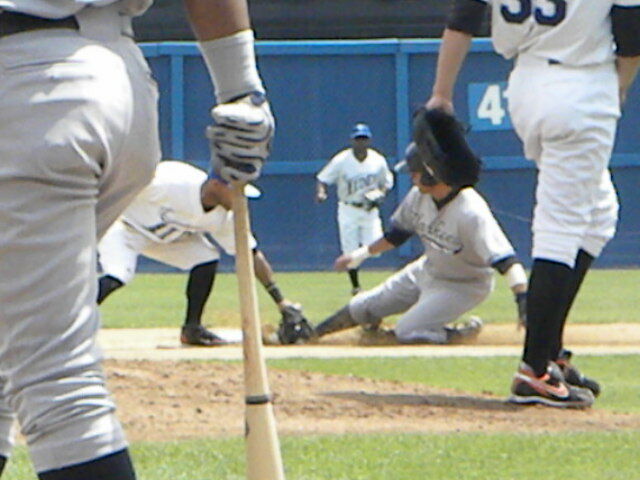 Thayer got Buck Britton to ground into a double play to end the inning. 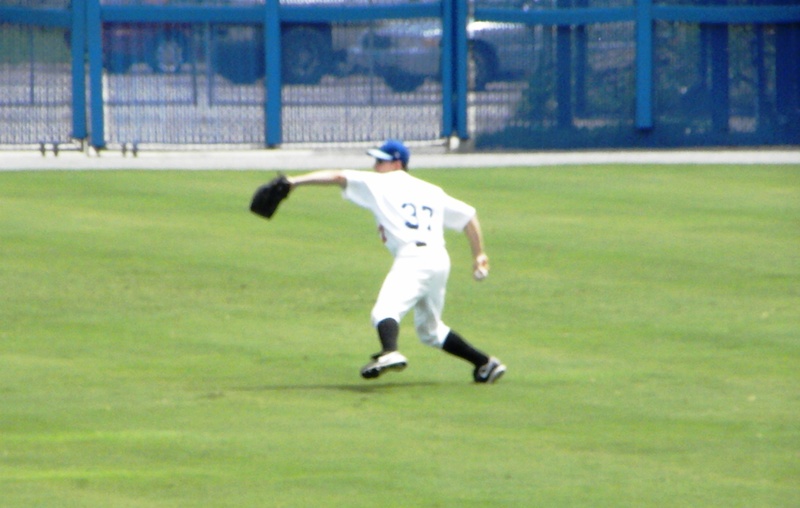 The Bulls took two of those runs back in the bottom of the 1st inning when J.J. Furmaniak singled to lead off the inning. 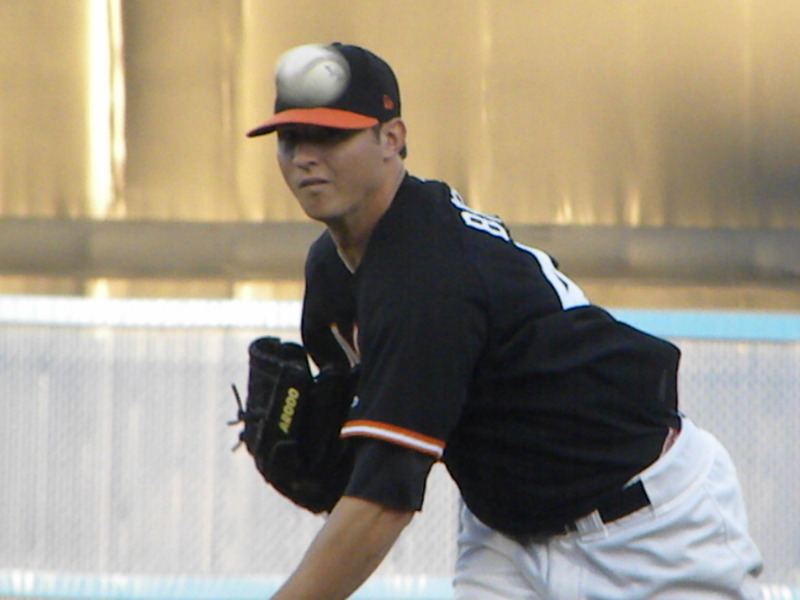 Britton struck out Omar Luna before giving up a single to Elliott Johnson to put runners at first and second with 1 out. 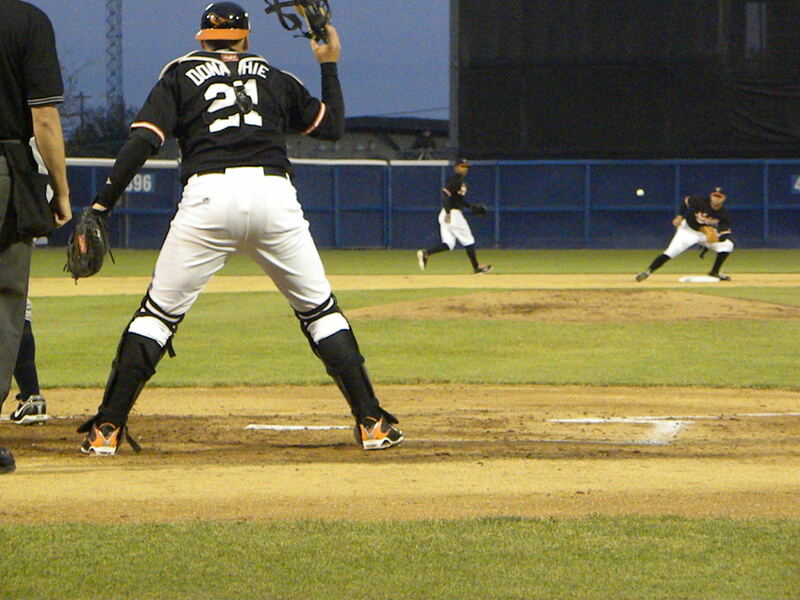 Britton then tossed a wild pitch to move the runners to second and third. 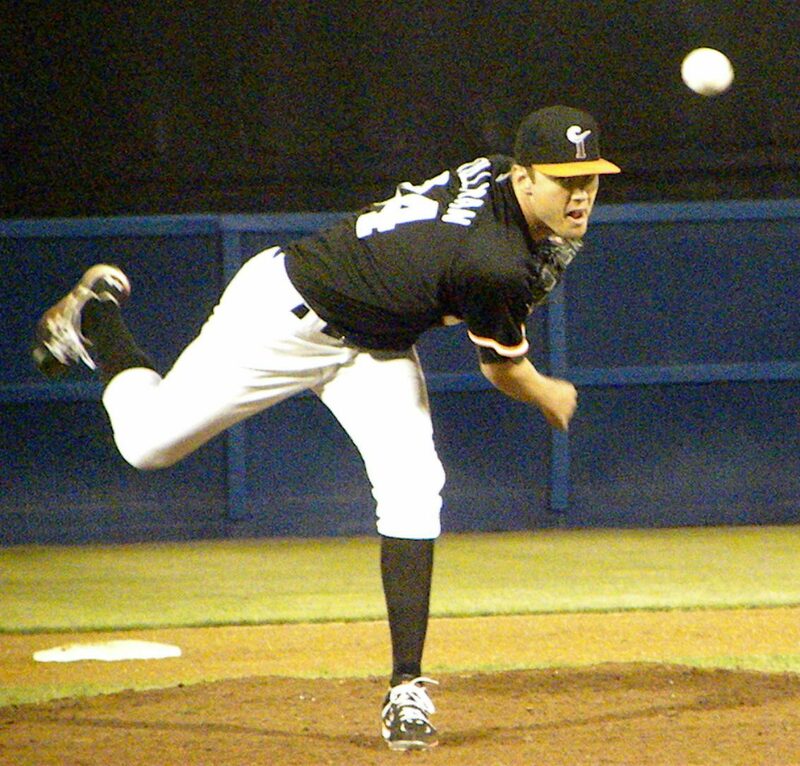 Chris Richard singled to drive in both runners before Britton retired Joe Dillon and Leslie Anderson on strikes. In the bottom of the 2nd inning Britton hurt himself in allowing a third run. 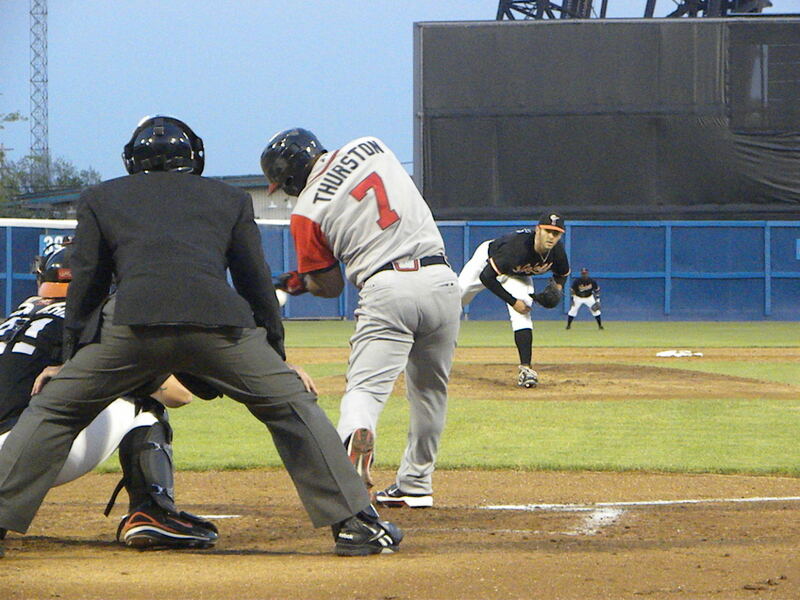 He gave up a leadoff single to Nevin Ashley and stuck out Bobby Livingston. 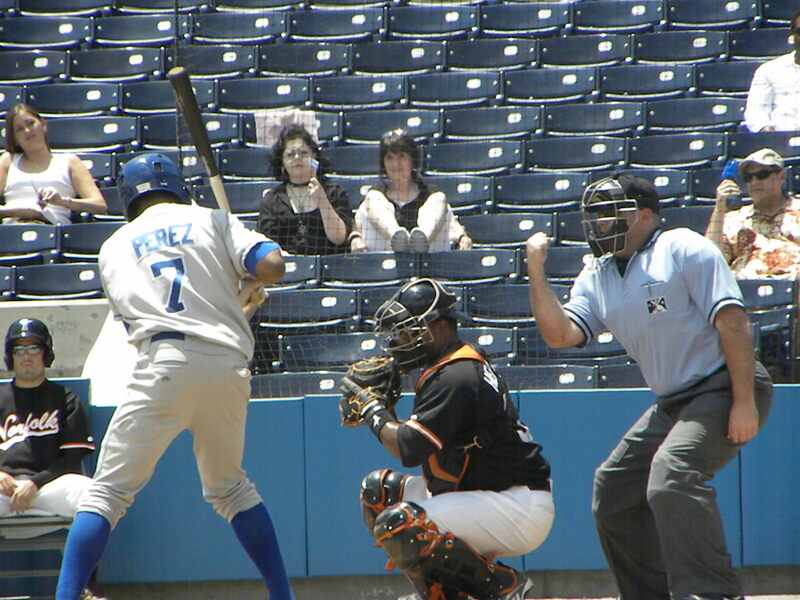 He then got Fernando Perez to ground out sending Ashley to 2nd. 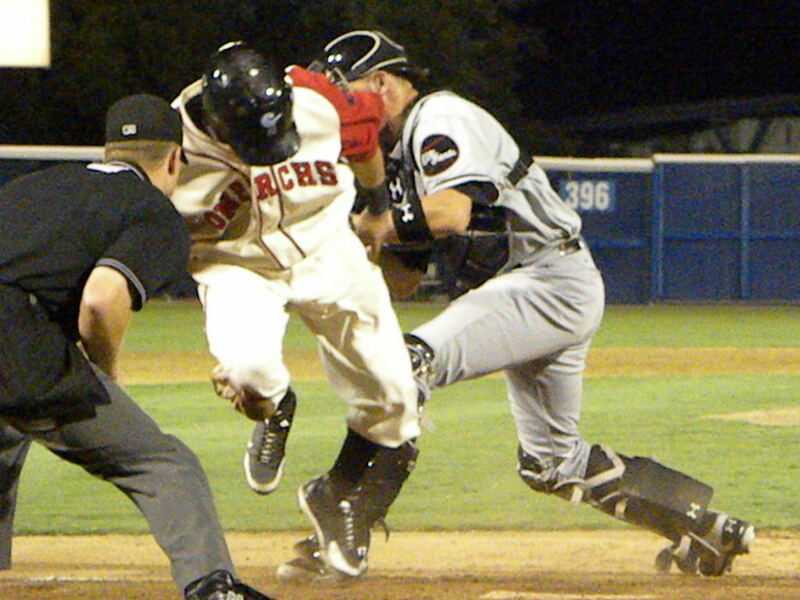 With Omar Luna batting catcher Adam Donachie then allowed a passed ball to get Ashley to third before making a wild pitch to score Ashley. He then stuck out Luna to retire the side with the score 4-3. 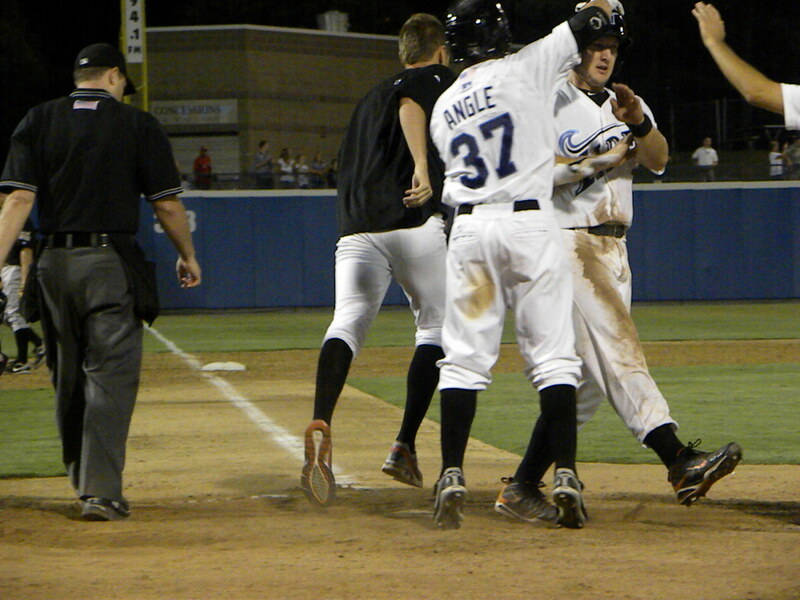 The Tides scored a run in the top of the 3rd inning as with 1 out Jeff Salazar walked and stole second. Michael Aubrey flied out bringing up Scott Moore who doubled to drive in Salazar to make the score 5-3 but Moore was thrown out going for third to end the inning. 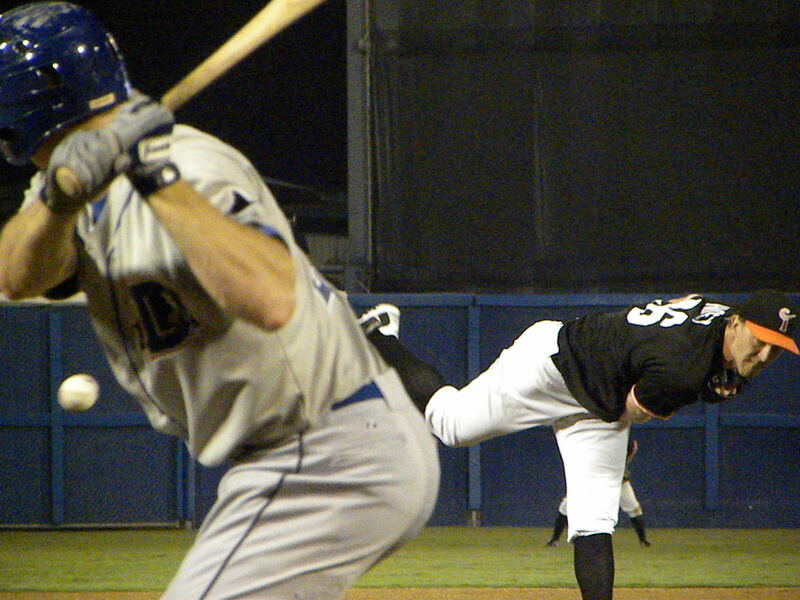 The score would remain 5-3 until the top of the 8th inning. 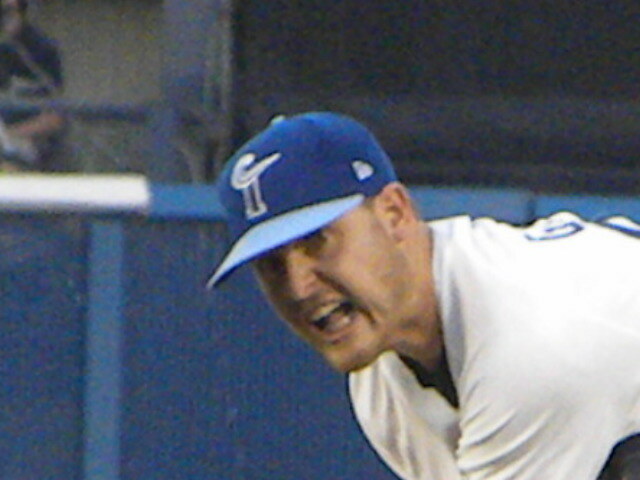 Britton left the game after 6 innings having given up 3 runs, 2 of which were earned on 4 hits striking out 9 bulls while walking two. 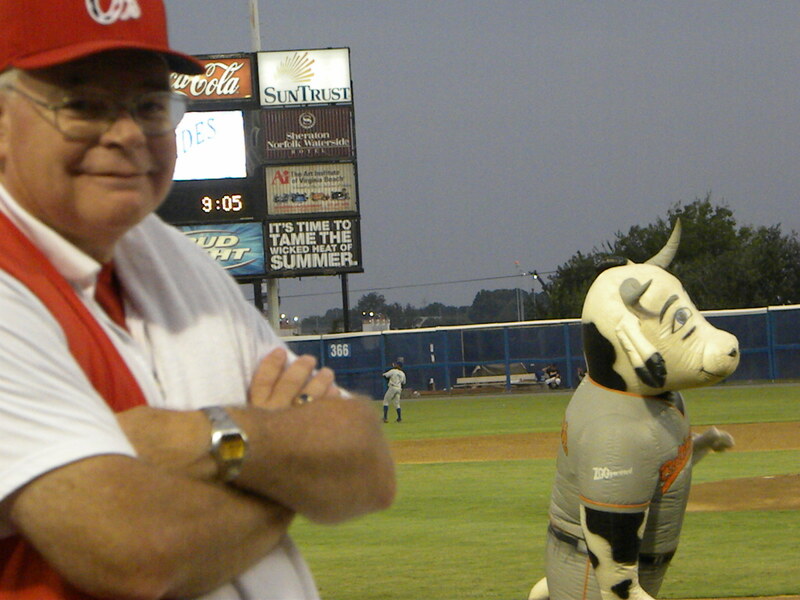 Pat Egan relieved Britton in the 7th sending the Bulls down in order. 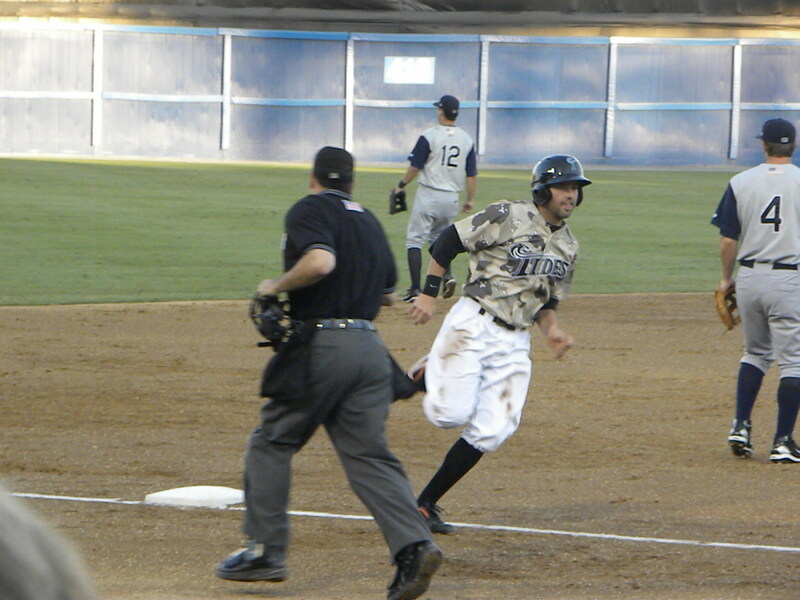 In the top of the 8th the Tides scored again when with one out Paco Figueroa singled and advanced to second on a passed ball. 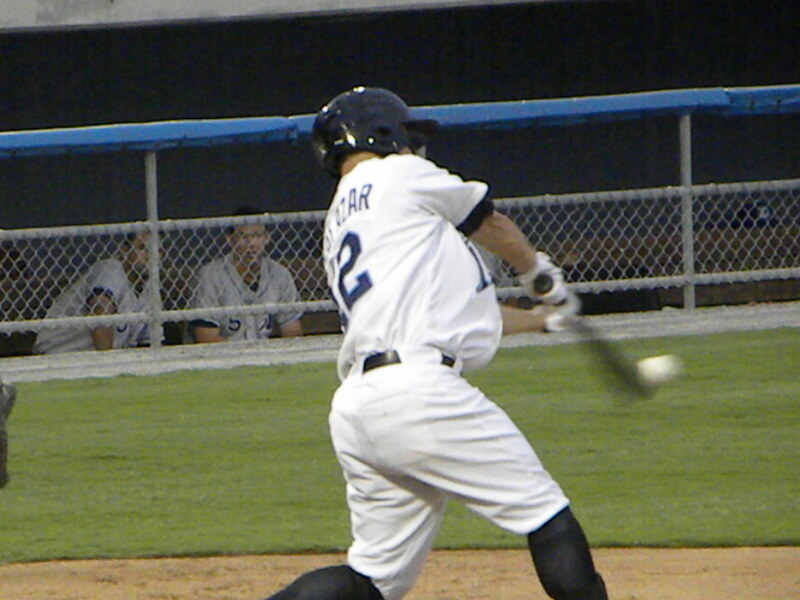 Jeff Salazar singled to send Figueroa to 3rd and with runners on first and third Michael Aubrey hit a sacrifice fly to score Figueroa and the lead was 6-3. 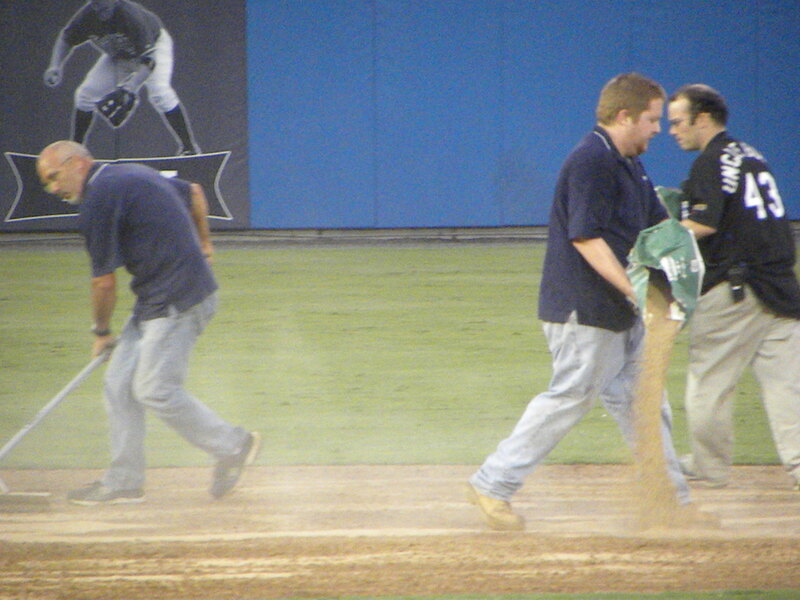 At this point the Tides bullpen got into trouble. 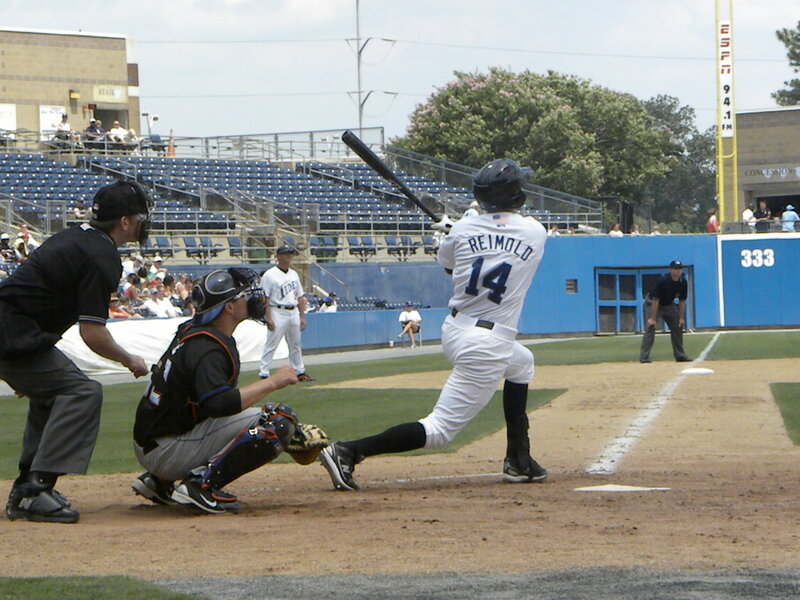 J.J. Furmaniak singled to lead off the inning and Egan then retired Oamr Luna on a fly ball to right and Elliott Johnson on a ground ball which advanced Furmaniak to second. Alberto Castillo relieved Egan and unlike his appearance against Charlotte on Friday night was beaten about by the Bulls. 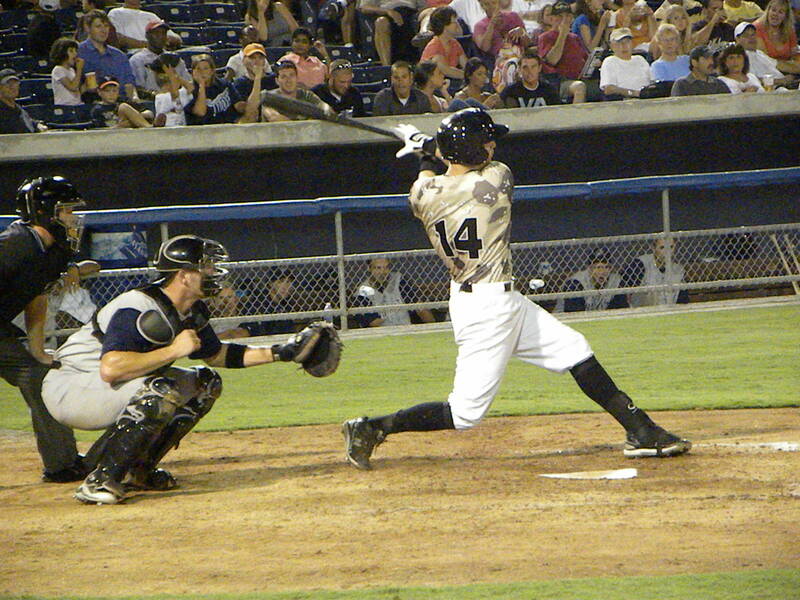 Chris Richard took Castillo’s first pitch over the right field wall to make the score 6-5. 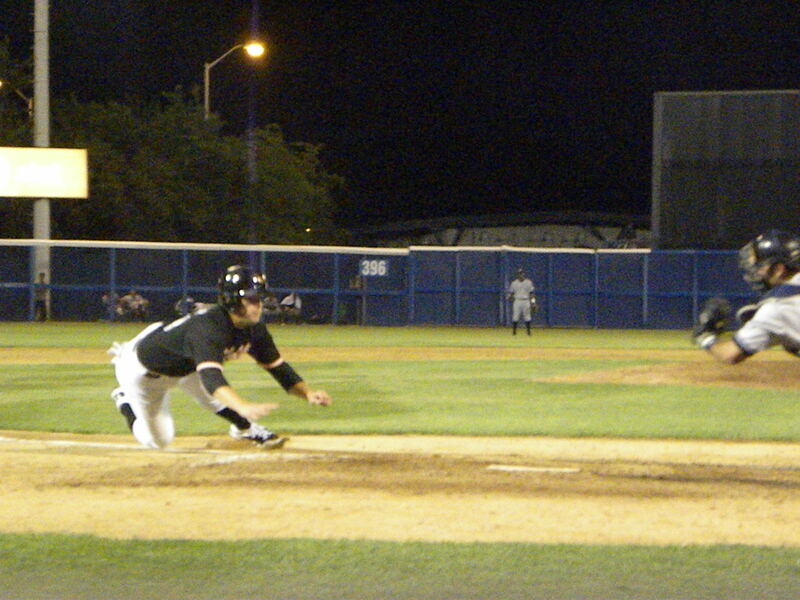 Castillo then gave up consecutive singles to Joe Dillon and Leslie Anderson before he was pulled for Frank Mata. 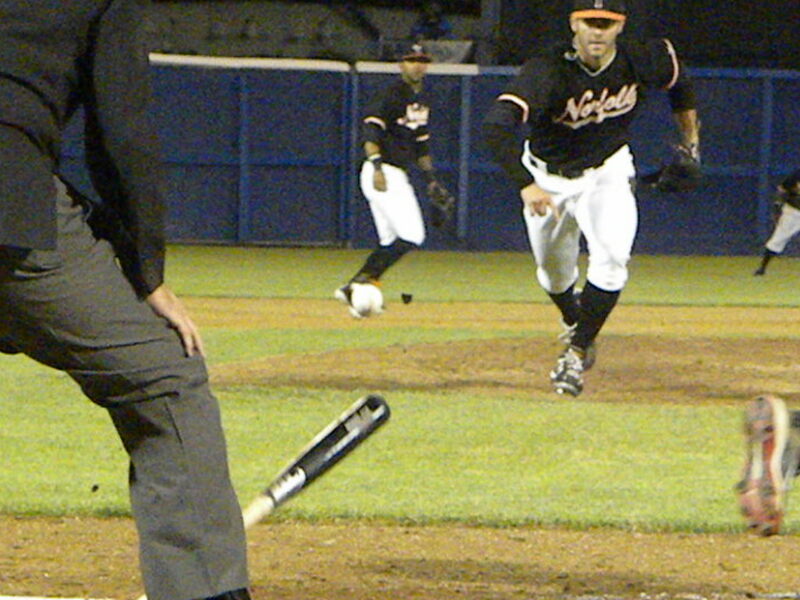 Mata got Ashby to ground into a force at second to end the inning. 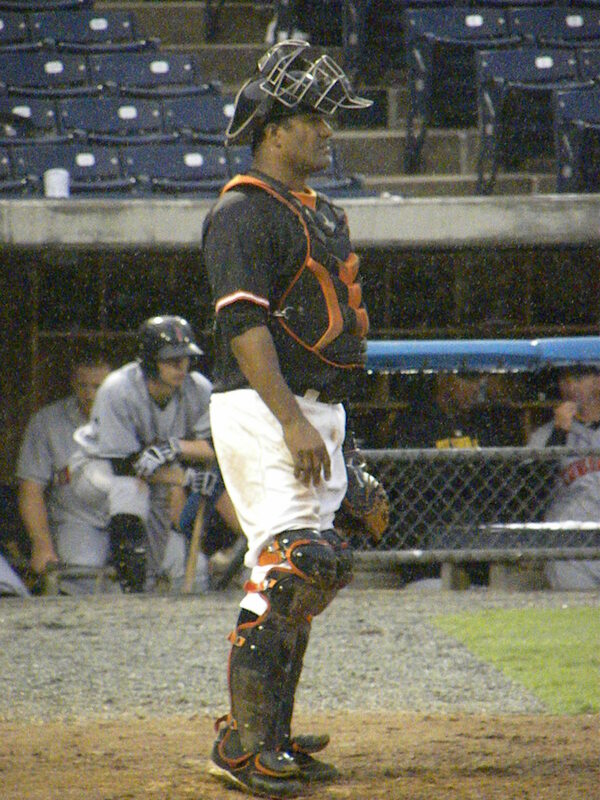 Winston Abreu came into the game in the 9th giving up a 1 out walk to Adam Donachie before getting Miguel Abreu to ground into a double play to end the inning. 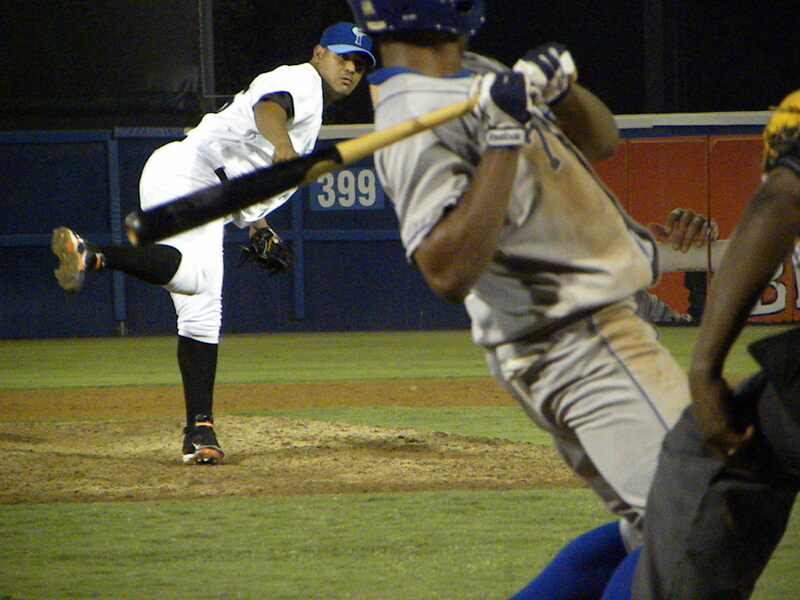 Mata came back out in the bottom of the 9th to attempt the save. Kyle Holloway came into the game as a pinch hitter for Bobby Livingston who hammered Mata’s first pitch into left for a leadoff double. 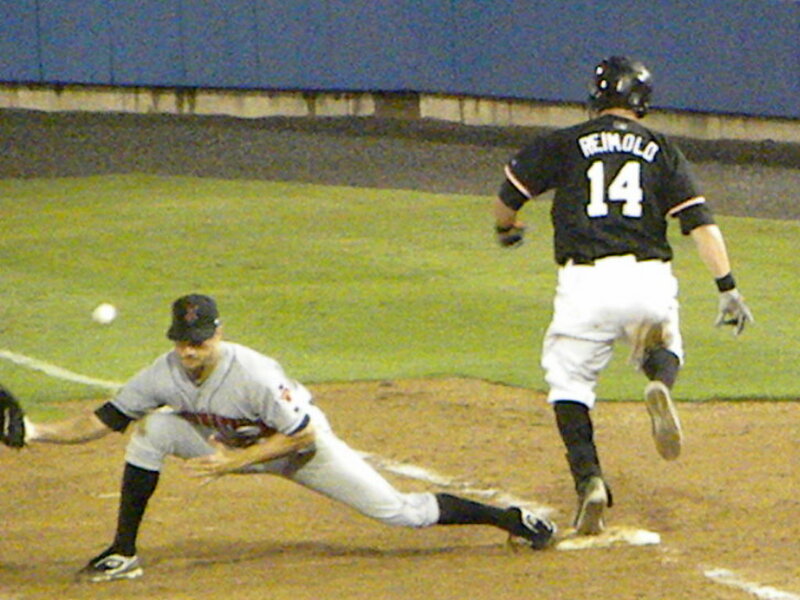 Fernando Perez bunted to sacrifice Holloway to third for the first out. 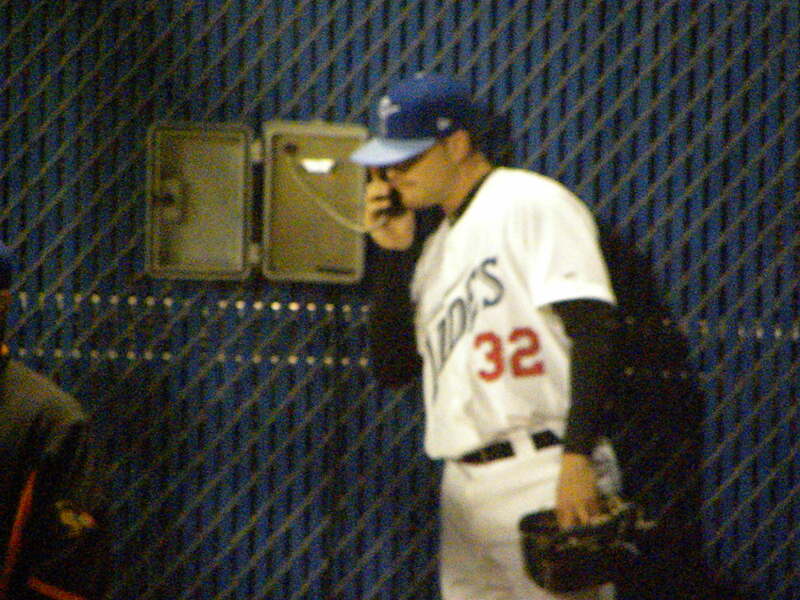 J.J. Furmaniak singled to score Holloway before Mata retired the side sending the game into extra innings knotted at six. 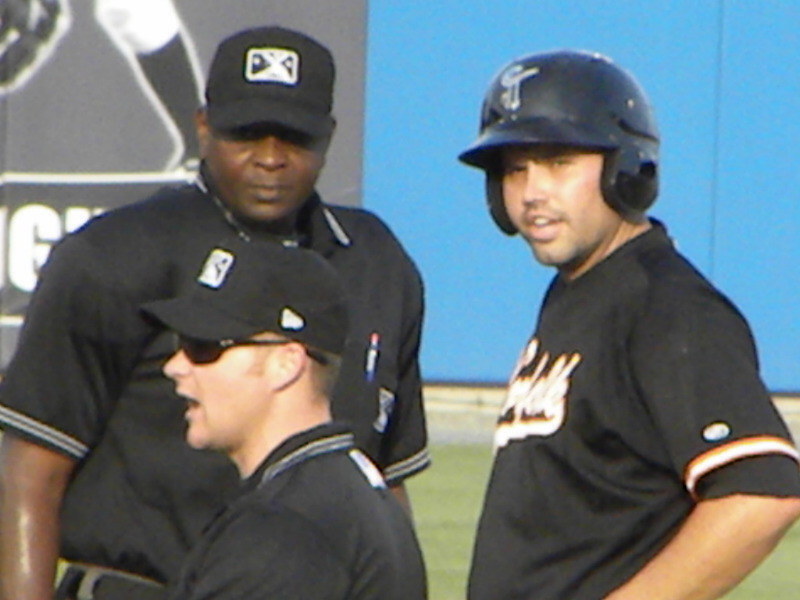 Abreu remained in the game for the Bulls and issued a leadoff walk to Blake Davis. 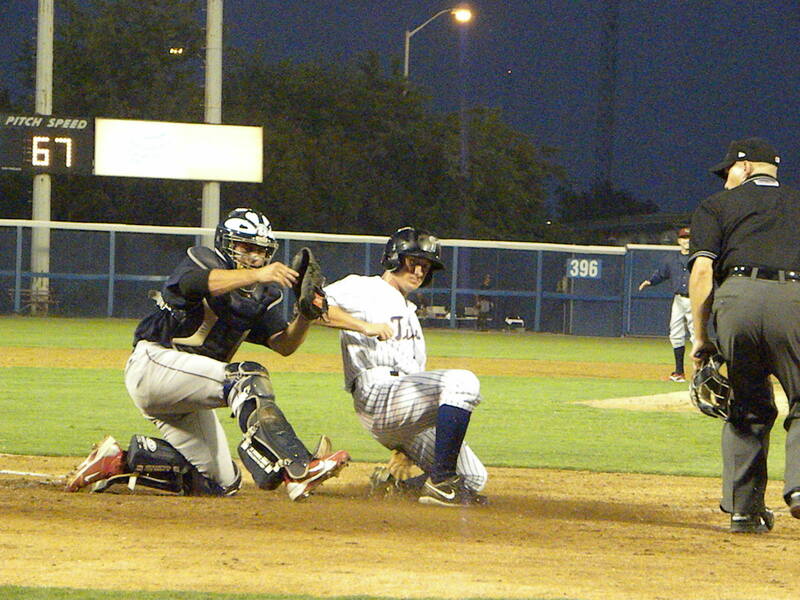 Davis advanced to second on a sacrifice bunt by Paco Figueroa and to third on a ground out by Jeff Salazar. 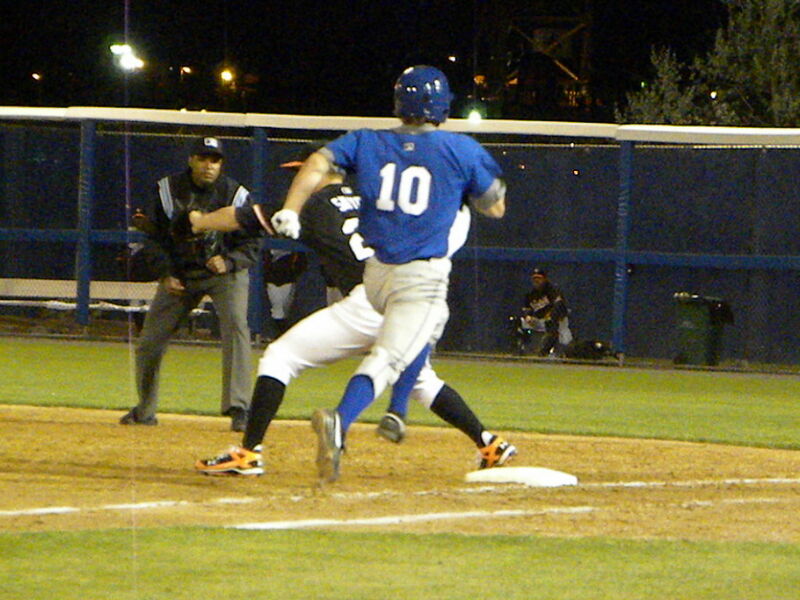 Now with two outs and Davis on third Michael Aubrey came to the plate. Abreu tossed a wild pitch to score Davis before giving up a single to Aubrey before retiring Scott Moore on a comebacker. 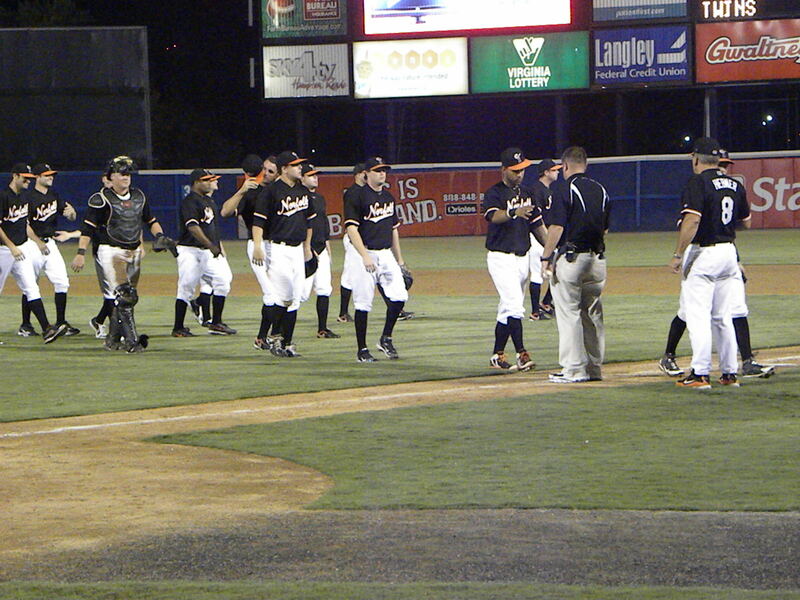 The Bulls came to bat in the bottom of the 10th against Mata who walked Chris Richard but then sent down Joe Dillon, Leslie Anderson and Nevin Ashley in order to end the game with the Tides winning 7-6. 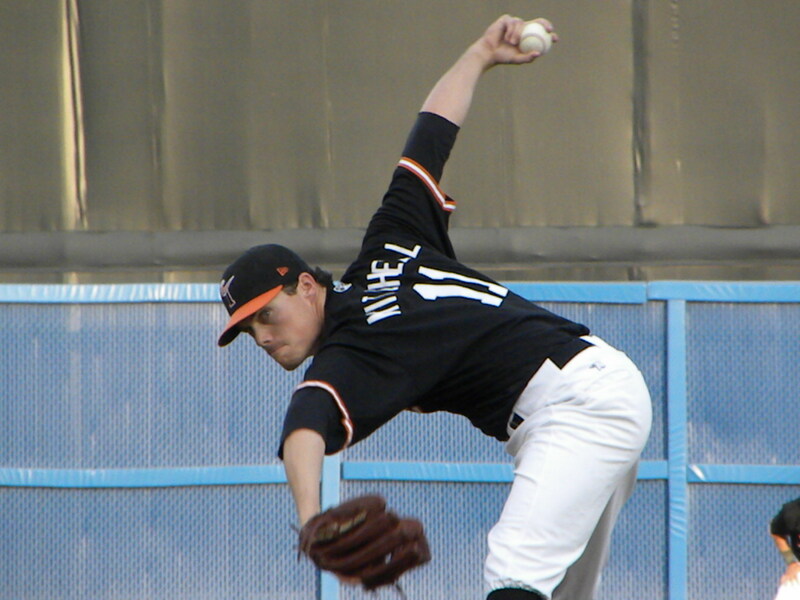 Frank Mata (5-3 3.16 ERA) got the win in relief for the Tides while Winston Abreu (0-4 2.28 ERA) got the loss for the Bulls. 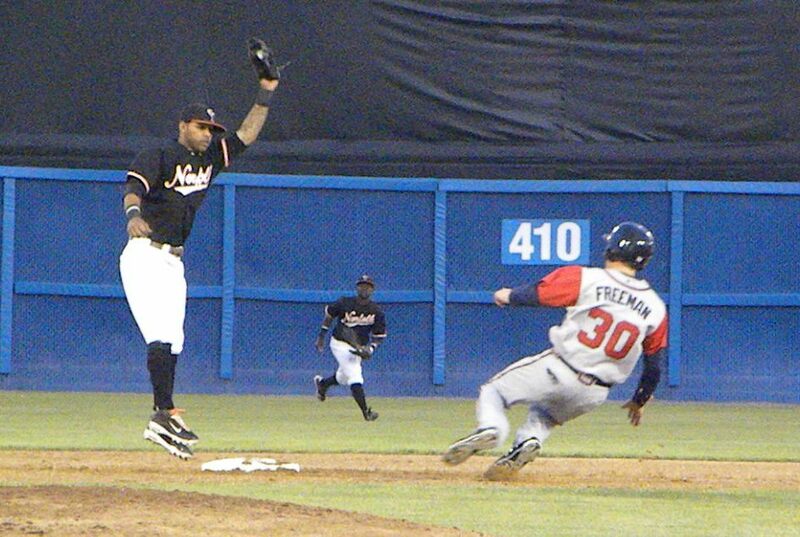 The Tides had 7 runs on 10 hits with no errors leaving just 4 runners on base. The Bulls had 6 runs on 10 hits with an error leaving 7 runners stranded. The teams will play this evening with the Tides starting Armando Gabino (7-0 2.29 ERA) on the hill against Brian Baker (9-5 3.56 ERA). 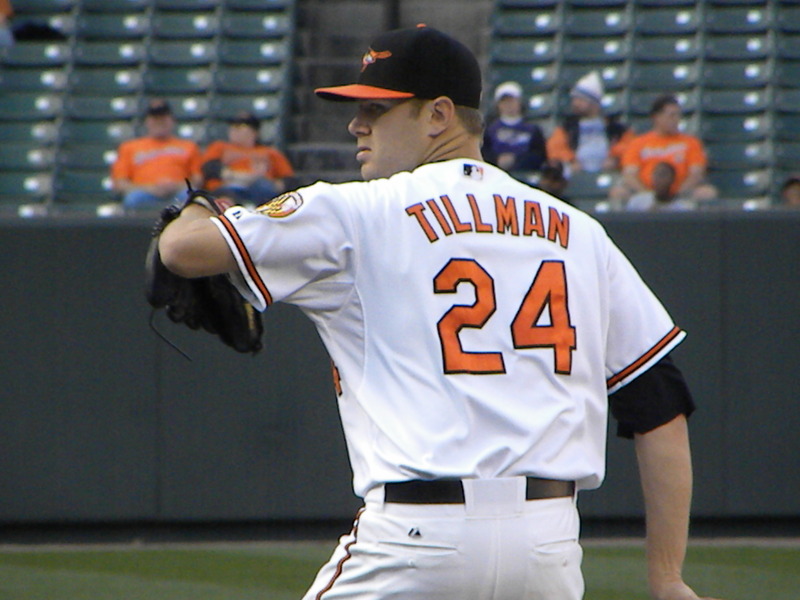 Chris Tillman was called up by the Orioles to start against the Rays where he left the game with 5.2 innings pitched giving up 3 runs and ending up with a no decision in his first appearance in front of Buck Showalter in a game that is still underway as this post is published.